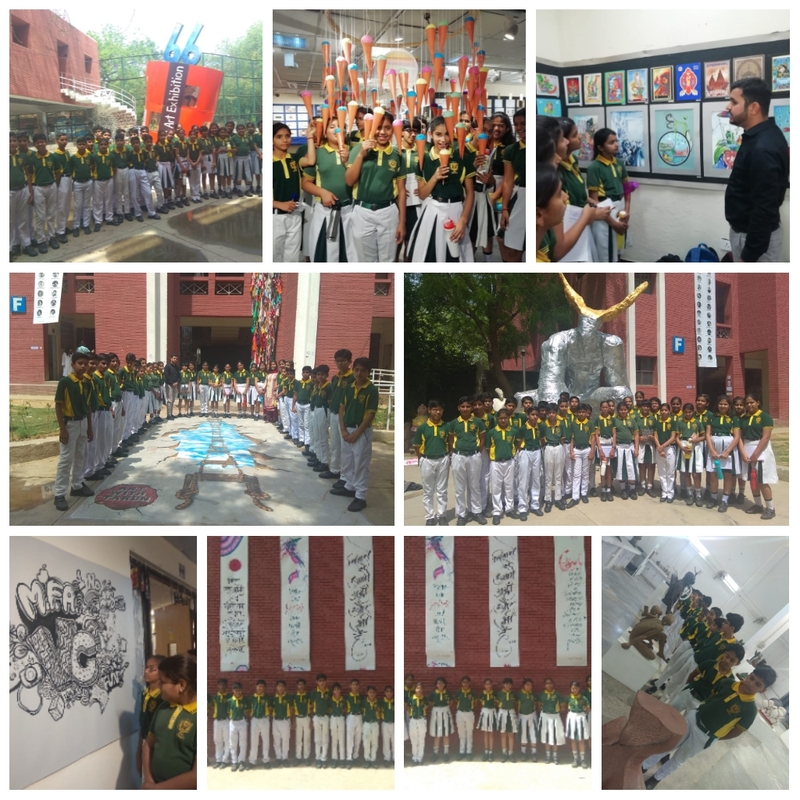 Students of class 8 of DPS Pataudi attended The Annual Art Exhibition organized by College of Arts.The students came to know about different aspects of art like painting, graphics, sculpture , photography etc. 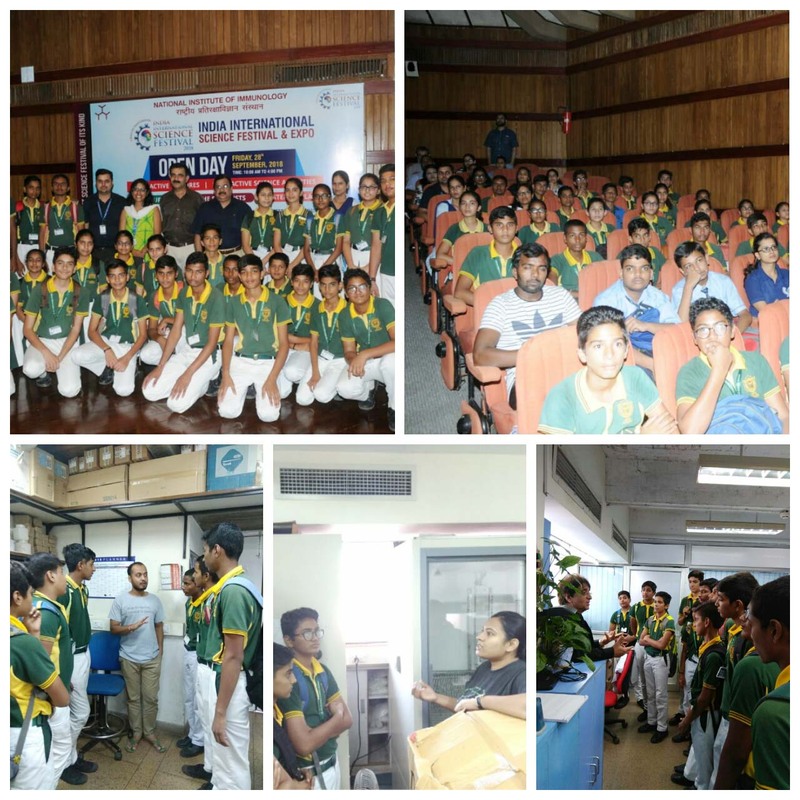 The day was filled with excitement and it was an exhilarating experience for the students. 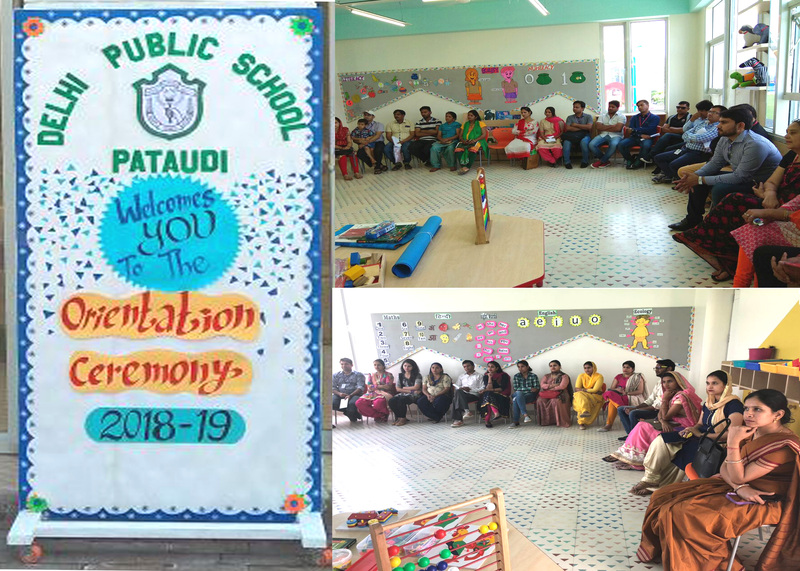 In keeping with the tradition, Delhi Public School Pataudi, celebrated an important milestone for the young learners of Kindergarten graduating into the Primary School on 19th March 2019. The Principal Ms. Dipinder Kaur congratulated the students and extended gratitude for the support from parents. 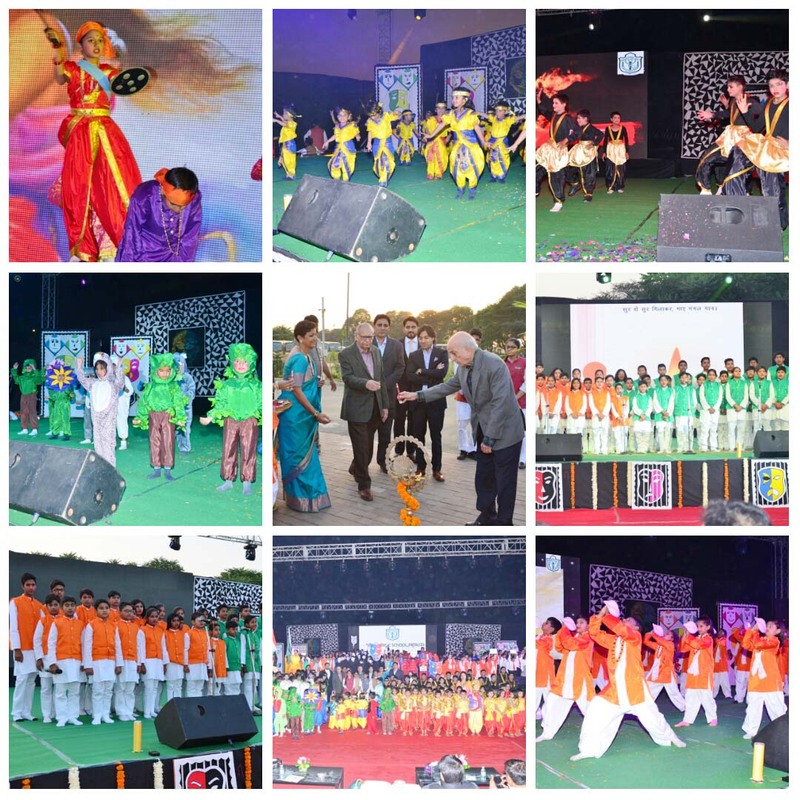 The vibrant children showcased their talents and enthralled the audience through their spectacular performances. The choir of tiny tots mesmerized the gathering with their mellifluous rendition of the song, ‘Ring the Joyful Bell’. It was endearing to watch the dance performance of the students supported by props and alluring costumes. Mr. Rahul Gulia, member of the Management Committee graced the occasion and felicitated the students with certificates and mementos of appreciation as a memory of Kindergarten. The ceremony concluded with the vote of thanks proposed by the Headmistress, Ms. Nina Soni. 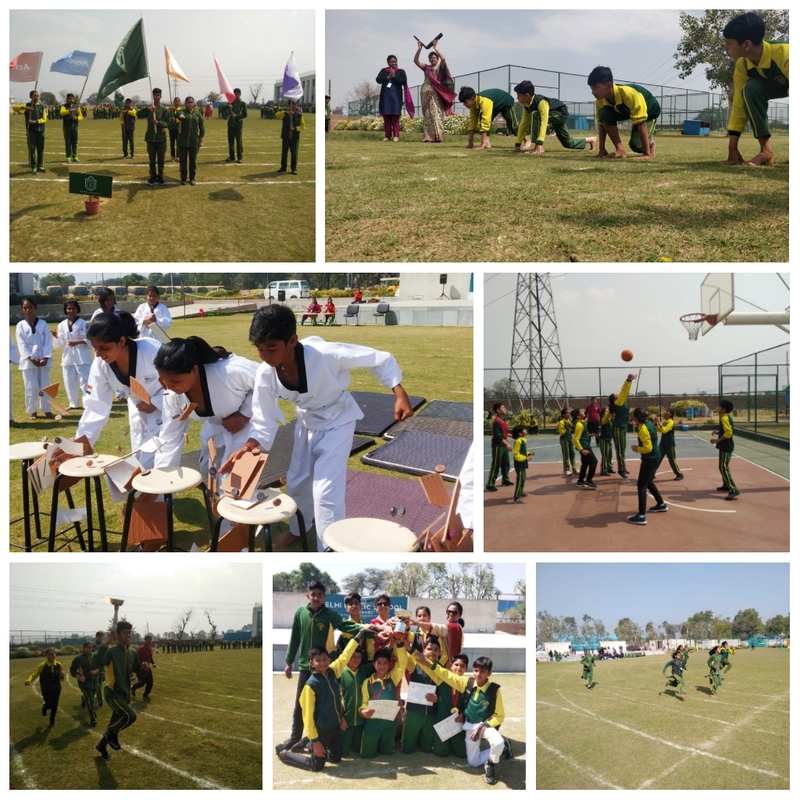 The ‘Annual Sports Meet’ at DPS, Pataudi was a fun filled week of great anticipation, excitement, delight and true sportsmanship. The meet was held keeping in mind the necessity of physical activity and importance of sports in the lives of the students. The Sports Week taught skills of teamwork, co-operation, stamina, endurance and benefits of exercise to the students. 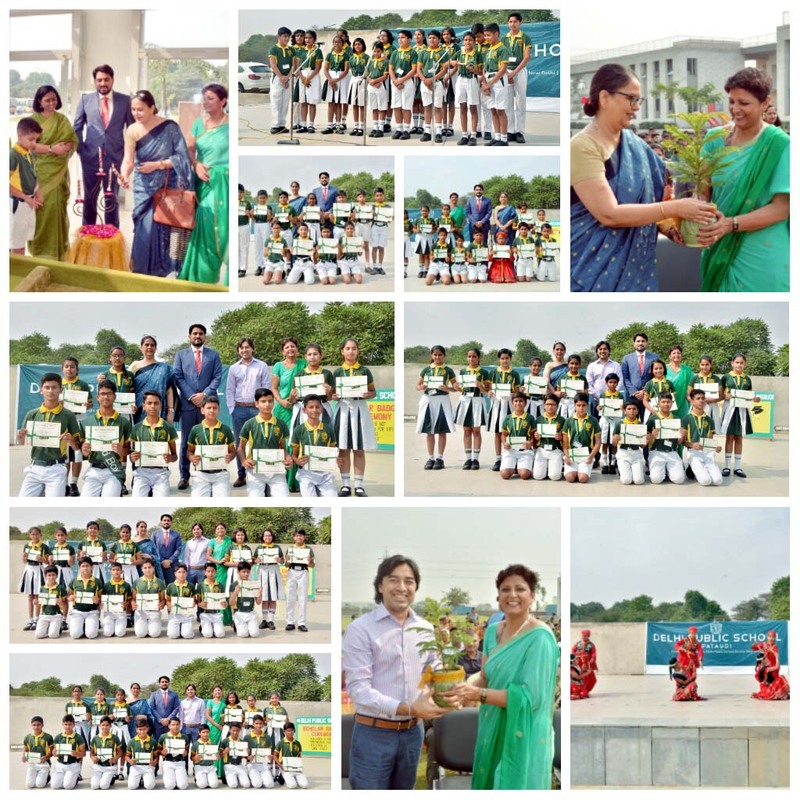 The much awaited Annual Sports Week commenced with the ‘Oath Ceremony’ that was administered by the Principal Ms. Dipinder Kaur. The ‘March Past’ by the different ‘Houses’ was a spectacular display of coordination, discipline and synchronization. The Principal declared the Sports Meet open. Students competed in events including Sprints, Relays, Basketball Matches, Lawn Tennis Matches, and fun races like sack race, kangaroo Race and balloon race. Races for teachers, staff members and a tug- of- war between the teachers and the students added to the enjoyment. The school reverberated with cheers and applause by the students. The Taekwondo display by the energetic students left the audience mesmerized. The occasion was graced by the Member of Management Committee Mr. Ramesh Gulia who gave away the medals and certificates to the winners. Deepanshu of class VIII A and Isha of class ¬¬VIII B were declared the Best Athletes amongst boys and girls respectively. The House Cup was bagged by the ‘Propellers House.’ The event culminated with the vote of thanks proposed by the Headmistress Ms. Nina Soni. 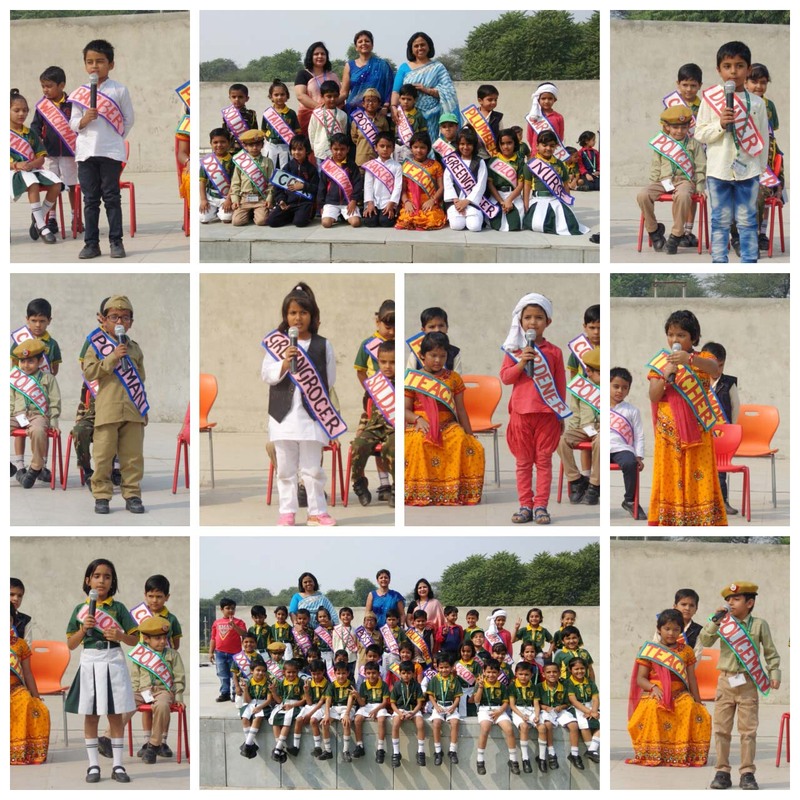 The students of Class Nursery and Prep Presented a special assembly on Wednesday 6th March 2019. The theme of the assembly was 'Save Tree and Healthy Food vs Junk Food'. All the children participated with great zeal and enthusiasm. 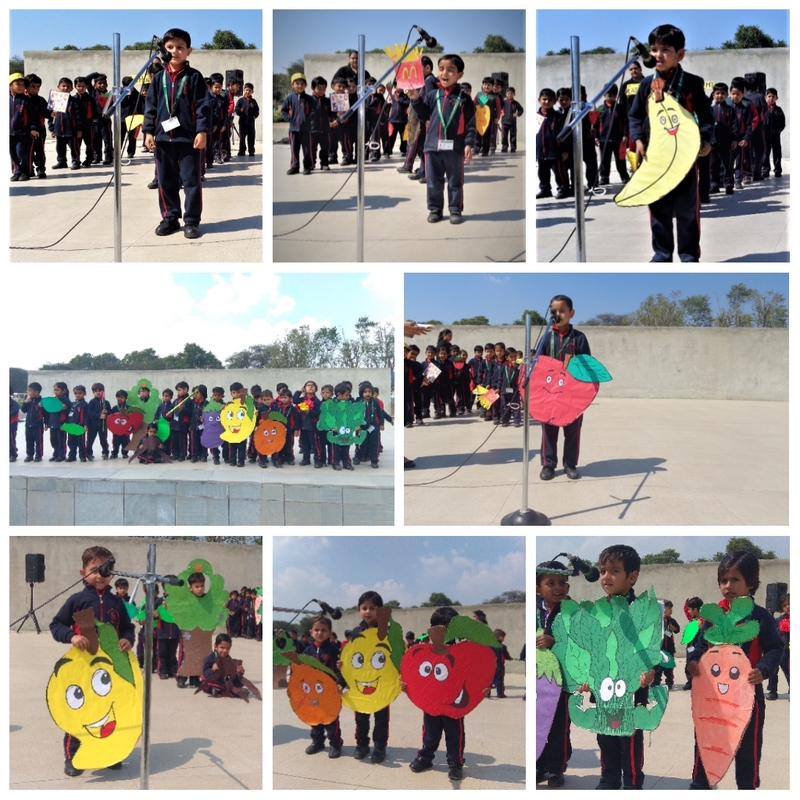 The Assembly started with a Role Play, depicting the importance of trees and healthy food habits. The assembly concluded with a mesmerizing dance performace woven beautifully along the theme on the song "Healthy Food Makes You Smiles" & "Na Kato Mujhe Bada Dhukta Hai". The assembly was thoroughly enjoyed by all, both for its entertainment quotient and the valuable message it conveyed. 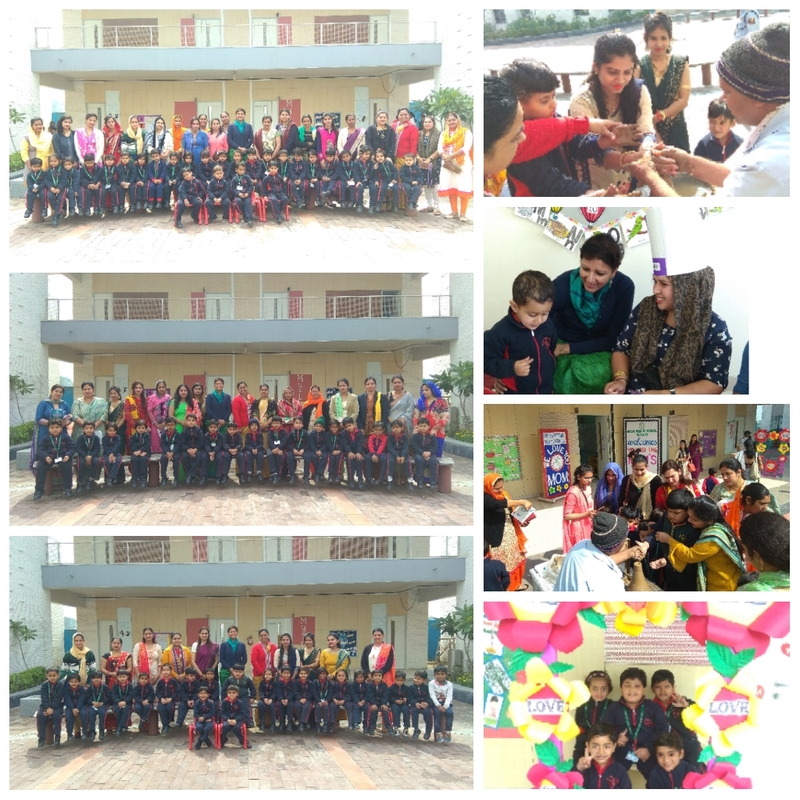 The students of Nursery & Prep had a memorable day with their in school on 21st of February, as mothers were specially invited to spend a memorable day filled with activities and fun. Mother’s enjoyed making card, snacks, clay pots with their little ones. The day was filled with joy & laughter. It was a pleasure watching the super excited moms with their dynamic and energetic children preparing something unique, something special. The outcome of their efforts was marvellous. 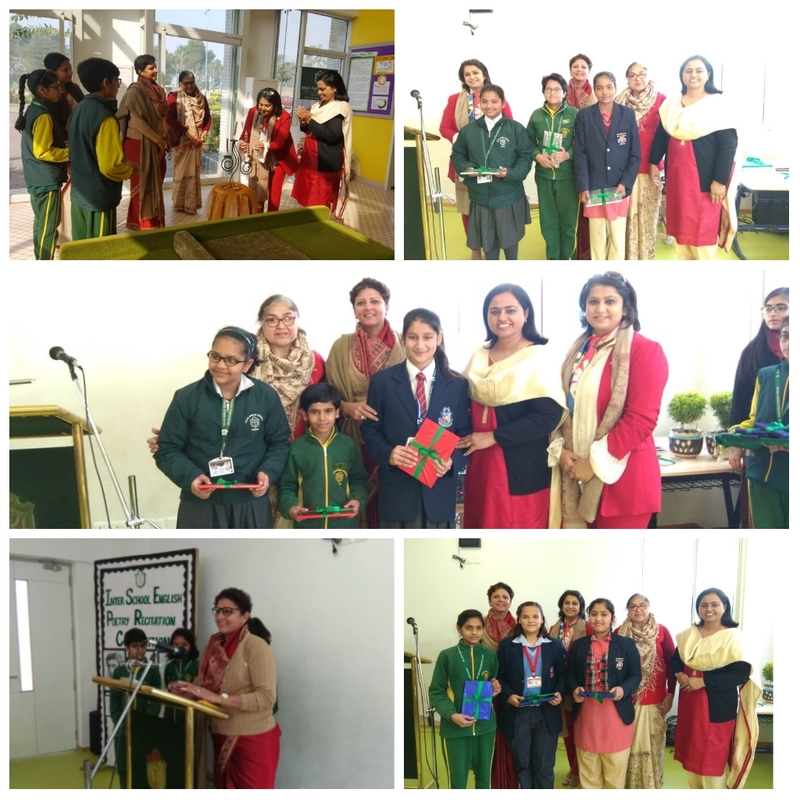 'Poetry is the rhythmical creation of beauty in words.‘ An Inter School Poetry Recitation Competition was held for students of classes VI, VII and VIII on 8th February, 2019 at Delhi Public School, Pataudi. Poems written by William Wordsworth, Tennyson and John Keats were recited very enthusiastically by the participants as they got an opportunity to exhibit their talent and confidence. There were three participants from each of the participating schools. All students performed with great zeal ,their performances were highly appreciable and they successfully gathered a huge round of applause. The participants were judged by two esteemed judges Ms. Anita Bhatia Ma’am and Ms. Purva Khanna Ma’am. The principal, Ms. Dipinder Kaur appreciated the children for having enhanced their knowledge while selecting poems of the famous poets whose poetry is enjoyed till date. The headmistress Ms. Nina Soni proposed the vote of thanks. A parent workshop ‘Supervising And Helping The Child Manage Time At Home During Exams’ was conducted by Ms Gunjan, the school counsellor on 2nd February 2019 for parents of grade 6, 7 and 8th grade. As exams are just around the corner and at this time supervising the child at home becomes even more crucial, the aim was to educate the parents about ways in which they can supervise their child at home. More to this, was imparting techniques to parents which they can use with the child to help them manage time effectively during exams with the aim to make learning more productive. Parents were made to understand the importance of time management through activities which were a part of this session. Through these activities parents could actively make their child learn the important of time in an experiential way which will ensure better understanding and implementation of effective time management strategies. A new perspective was put across to the parents which talked about the golden triangle where the child, teacher as well as the parental supervision at home collectively determines the overall success of the child at school. Thus supervising the child at home becomes very important. 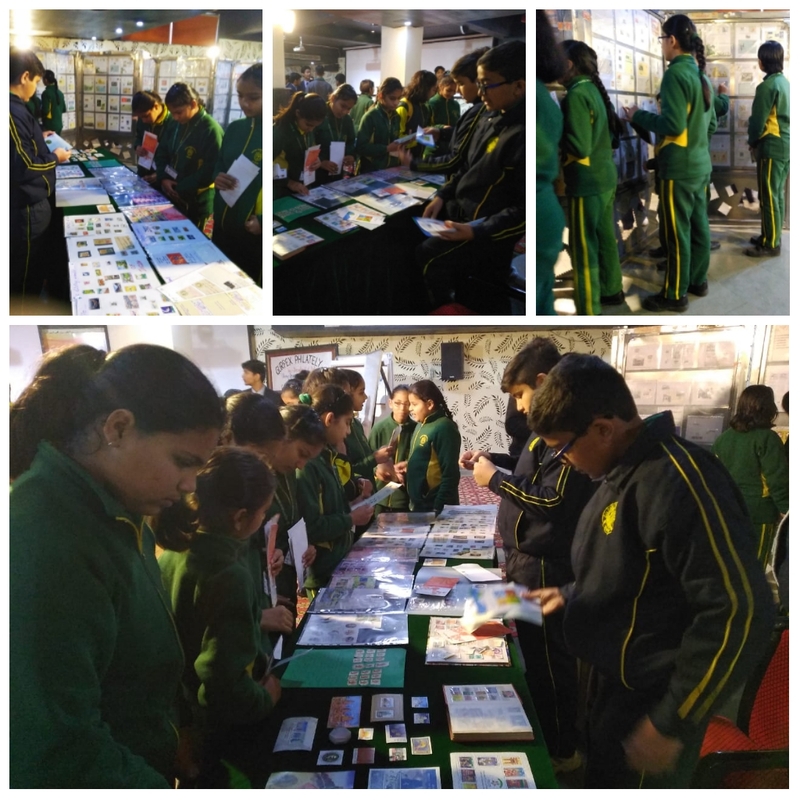 Students of class 6th and 7th of DPS, Pataudi attended a Philately Exhibition in Gurugram. The students came to know about a brief history of the ‘Philatelic Society of India’. The students were delighted to see the display of stamps issued to commemorate important historical events in the history of India and stamps issued to honour famous personalities and vintage stamps from around the world. Mr. V.K. Shunglu, Chairman DPS Society has been conferred with the PADMA BHUSHAN by the Govt. of India for his exceptional and distinguished services. We are proud of him. 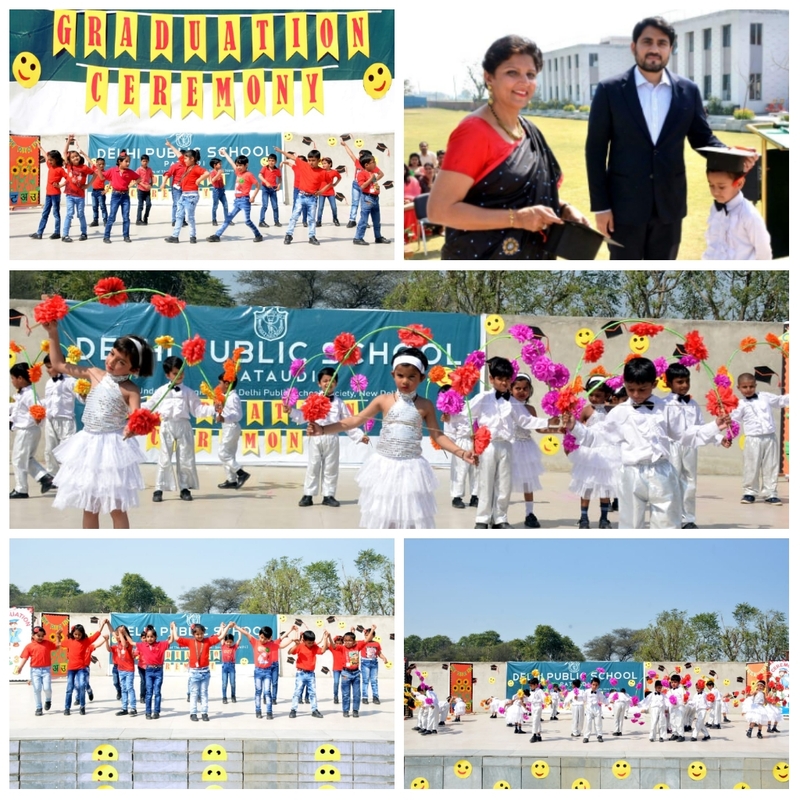 Delhi Public School, Pataudi celebrated 70th Republic Day by organising a special assembly in the school premises. 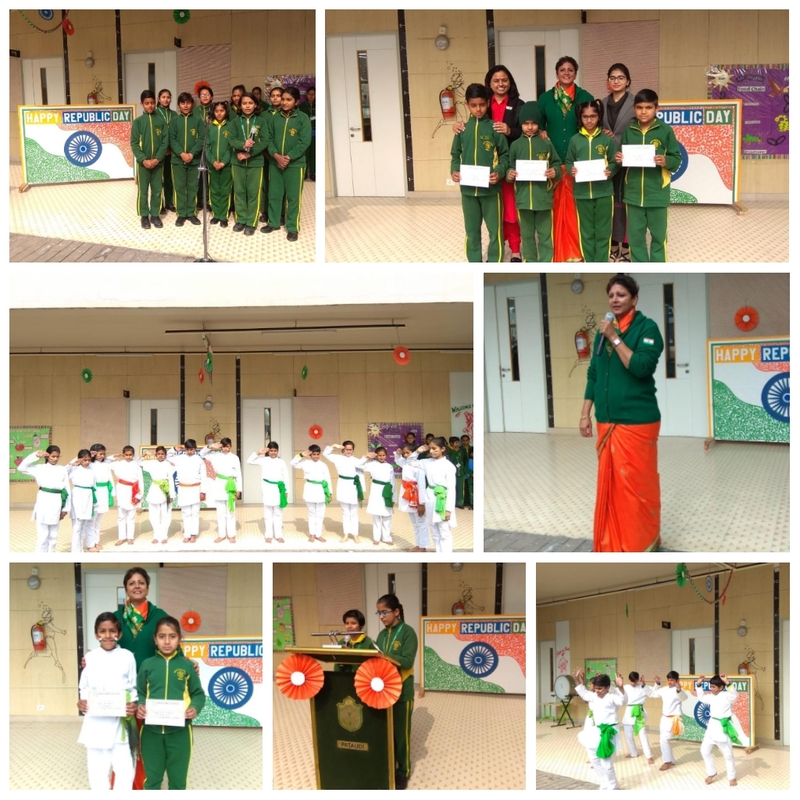 The students of class VI gave a speech, and recited poems in Hindi and English on the theme of patriotism. This was followed by mellifluous performance by the school choir on the song, ‘Saat Sur’. The medley of dance performance by the students increased the patriotic fervour manifolds. 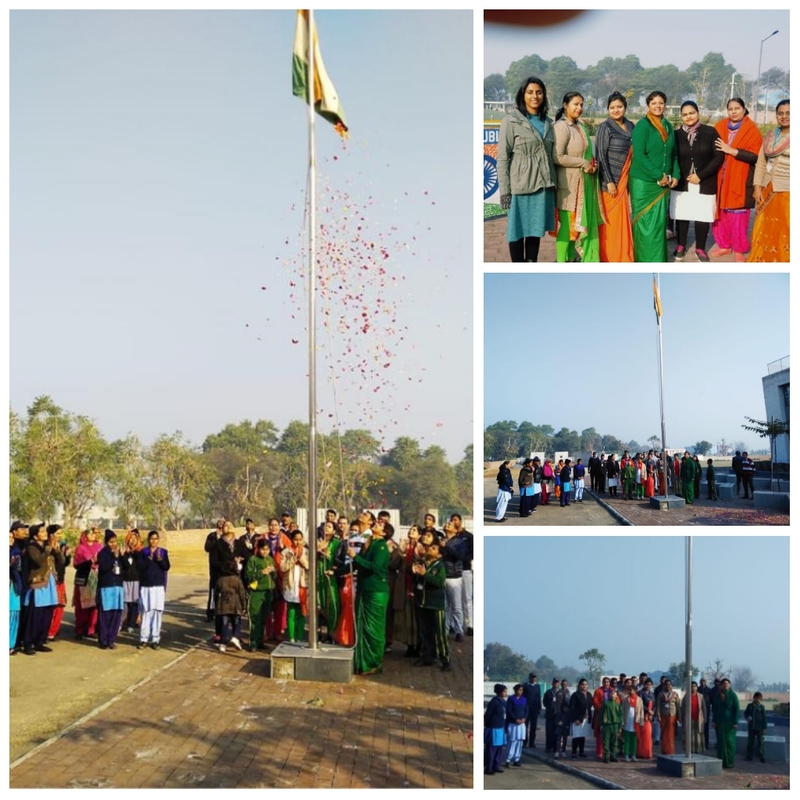 The Principal, Ms Dipinder Kaur, in her address to the students, motivated them to watch the Republic day parade on the television and also enhanced their general awareness. She urged every student to work with honesty and dedication and make their country and parents proud. In the time and age of auto-correct, predictive text and spell check, the Spell- Bee competition for Grade 5 students held at DPS Pataudi came as a whiff of fresh breeze. 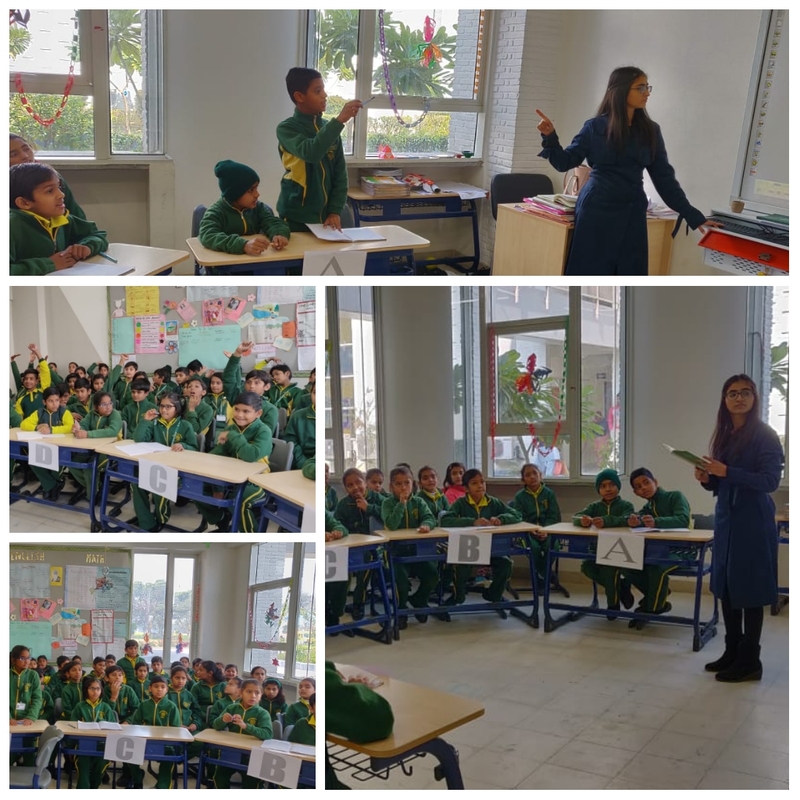 The Intra Class Spell- Bee competition for Grade 5 students was organized by the Department of English, in the school campus on 19th December 2018.There were twelve students who qualified three consecutive dictation tests and became the participants. Students participated with great enthusiasm and dueled through the toughest words to prove their mettle. All the three rounds of the Spell Bee held the audience ‘spellbound’, with almost all of the 12 participants spelling each word correctly. Even the toughest words were spelt with unflinching ease by the spelling wizards. It was a nerve-wracking task to reach the top of the class. The competition made students aware of spellings and the usage of many unfamiliar words. It was a wonderful learning experience not only for the participants but also for their peers and served to enrich the vocabulary bank of students. 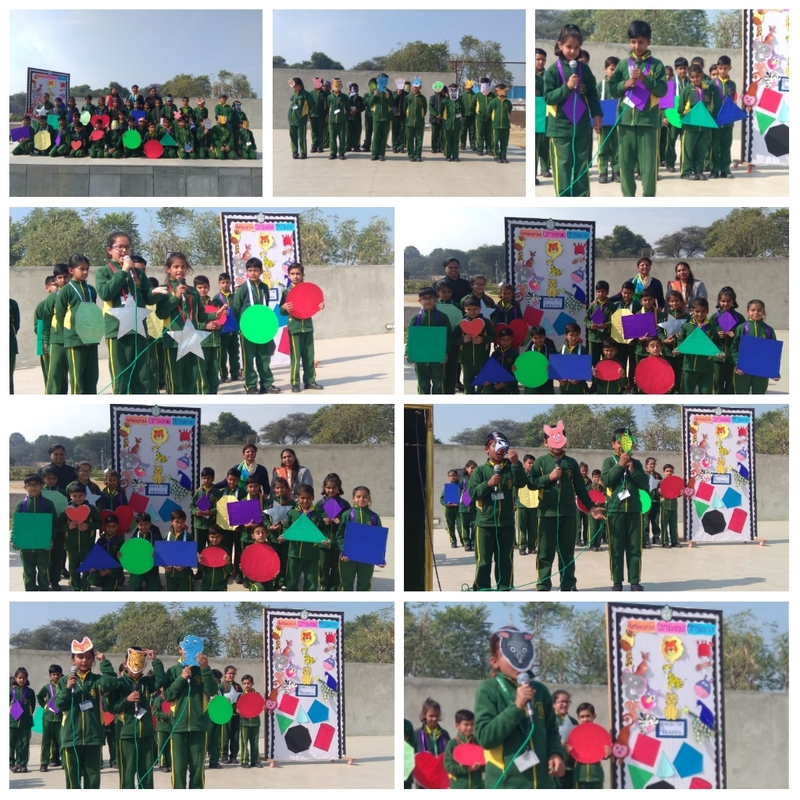 “Learning is fun and learning with creativity is long lasting.“ The students of class 3 put up a wonderful presentation on 19-01-19. The theme of their presentation was “Shapes and Animals”. Parents were also present to see their children perform on the stage. The presentation started with a prayer followed by the introduction of different shapes of Mathematics. The students presented themselves as shapes and sang small rhymes. After that students played roles of different animals and told the parents about their category based on their eating habits: Herbivores, Carnivores, and Omnivores. The students sang a mellifluous song on ‘Shapes’. The students were full of energy and excitement. At the end, Principal, Ms. Dipinder Kaur appreciated the efforts put in by the children and thanked the parents for bringing a smile on their children’s face by their presence. In the month of December, anti-bullying campaign was carried out for grades 4th to 9th in DPS Pataudi. The name of the campaign was ‘Lend a hand; take a stand- Anti-Bullying Campaign’. The aim of this campaign was to make students aware about bullying and make them better equipped to deal with any case of bullying in school. A lot of activities and lessons were conducted in each class to reach out to students in an interesting manner. 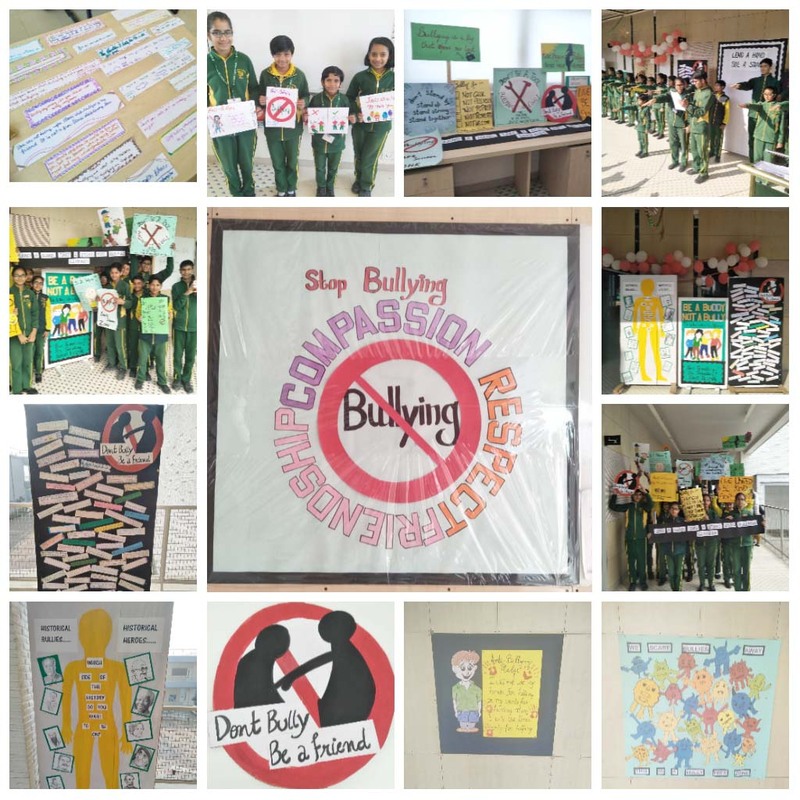 Some of the highlights of the campaign were- slogan writing competition, poster making competition, print the hand- ways to stop bullying activity, student council awareness march on anti- bullying and a special assembly summarizing the entire campaign. During the special assembly, the student council members were involved in putting across a short quiz, debunking myths about bullying, a role play and the anti-bullying pledge towards the end. A lot of posters and boards promoting anti-bullying were placed in different areas of the school for increasing students’ awareness. The message designed to be delivered through the campaign had successfully reached across to all students. 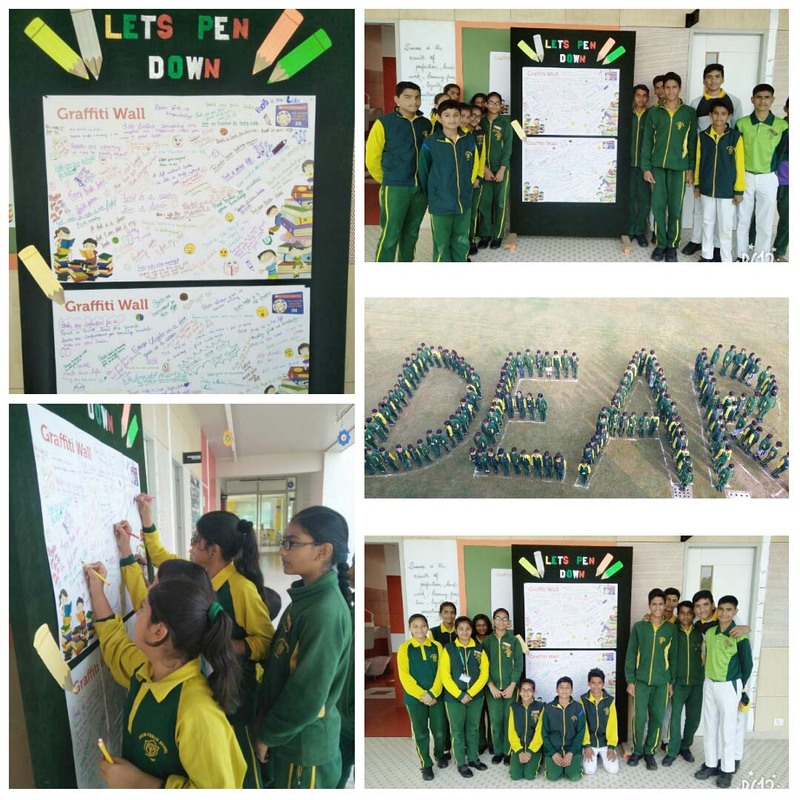 Overall students actively participated in the campaign making it a success. 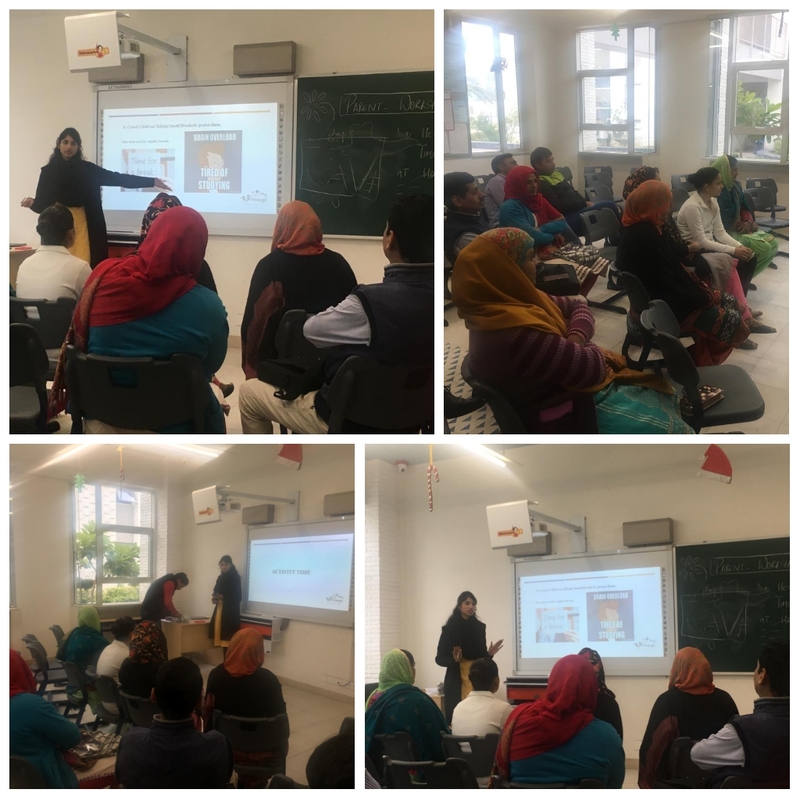 On 22nd December 2018, a workshop, ‘Learner Motivation’ conducted by ‘Cambridge Assessment English’ in Delhi was attended by the teacher of English Faculty of DPS, Pataudi. The workshop taken by Mr. Kalpesh was an enjoyable activity based session. The workshop focused on the factors that influence the motivation amongst the students in the classroom to learn English as a second language. The workshop began by describing the concept of motivation for students to learn in the classroom, factors influencing the motivation and the role of a teacher from being a lecturer to being a facilitator, and the strategies that can be used by the teacher to inspire the students to learn. The speaker pointed that the content should be student-driven. The context should be set in accordance with the student’s interest and need. Mr. Kalpesh recommended the creating of a dynamic learning environment by applying interesting relatable content to hold the attention of students whilst simultaneously addressing their problems. He stressed that teachers should make learning English for the students more than just a matter about exams and grades. It should be about having the confidence to communicate and access a lifetime of enriching opportunities and experiences. It was a well-thought-out workshop for providing the teachers with different strategies of motivating the students to make learning English enjoyable, effective and rewarding. The much awaited Winter Carnival of Delhi Public School Pataudi was held on Saturday, 22nd December 2018. The school campus buzzed with various activities. 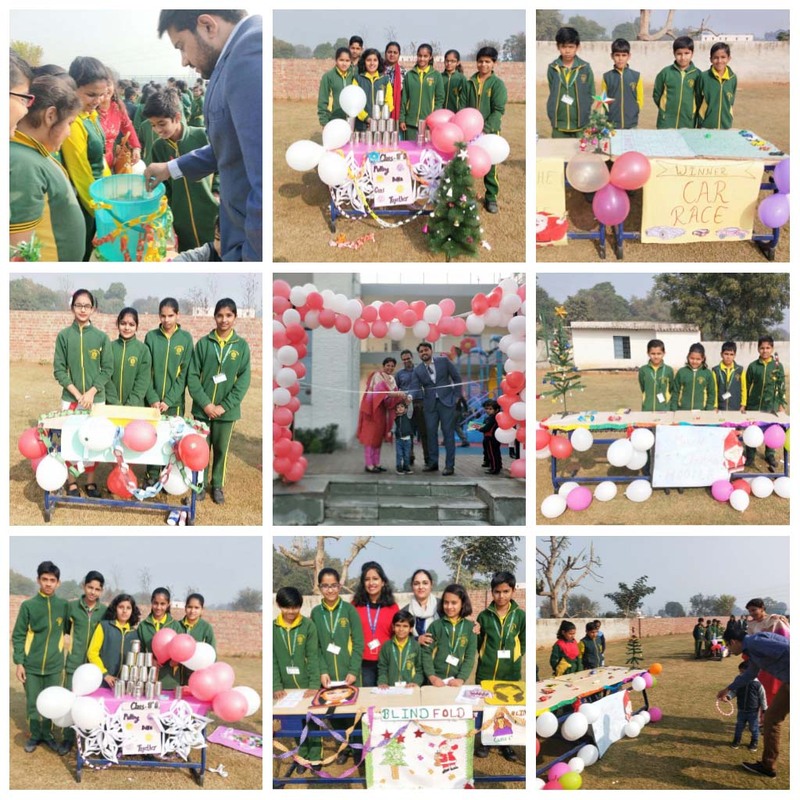 The Carnival was inaugurated by the School Principal, Ms. Dipinder Kaur along with the eminent guests Mr Rahul Gulia and Mr Rajat from Ernst & Young. The entire campus wore a festive look and was festooned with colourful streamers and balloons and a brightly decorated Santa on stage. Food stalls and game stalls were an add on to the fervor of the festivity. The DJ area had maximum strength as the students couldn't stop dancing to the scintillating music. The enjoyment continued with the games stalls organised by the teachers and students from classes 2nd to 9th. The boundless joy of celebrating the festival was amply visible on the faces of the children especially when Santa moved around distributing sweets to them. The synchronised dance performances by senior girls deserves a special mention. 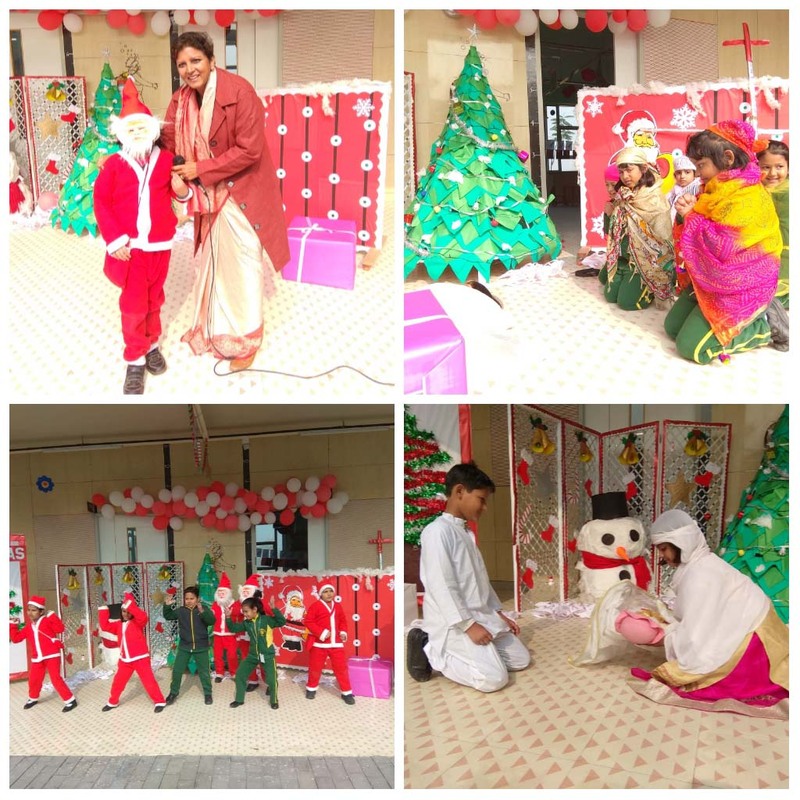 The enthusiasm shown by all students and teachers made the celebration of the First Winter Carnival of DPS Pataudi a memorable one. 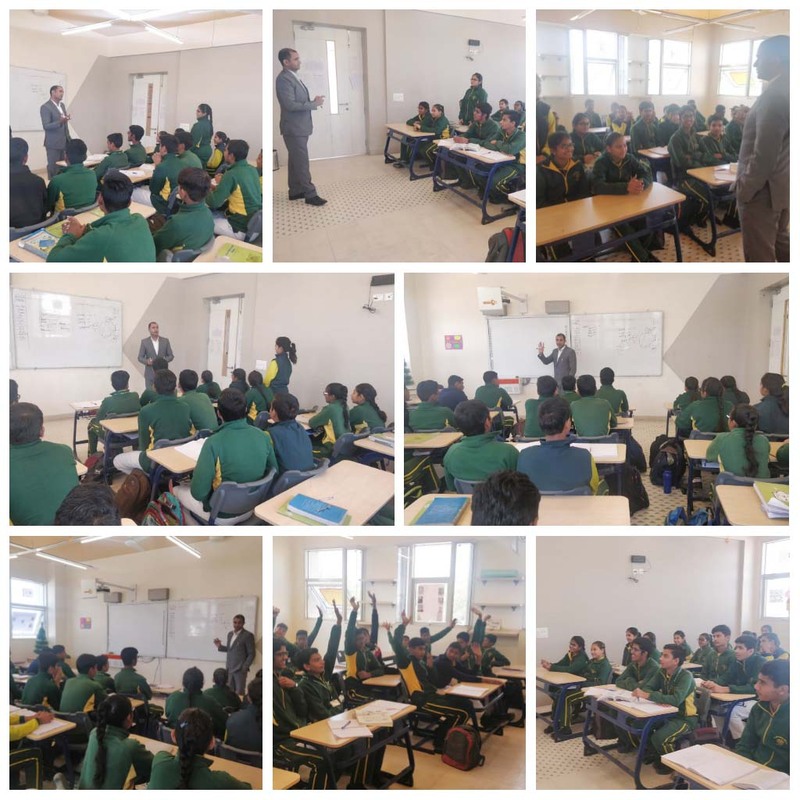 In order to widen the horizon & give some knowledge about various jobs & occupations to students, a session for class IX was conducted on Tuesday, 18th December by Dr. Dilbagh Singh. He provided valuable inputs from his area of expertise, that is in the field of Civil Services to the students. He stressed on the power of subconscious mind and how it can be used to maximize its benefits. He highlighted the importance of Social Science, and it's role and influence in our life. He encouraged students to realize their dreams, aspirations, through the power of Subconscious mind. He inspired them to crave for knowledge rather than just good grades and made them realize how their attitude, aptitude & interest play a vital role in their success. He even told them about life skills and the importance of gratitude in life. It was a highly interactive and motivational session. Ms. Ranjana Pathania and Ms. Aashima attended a workshop on ‘Mathematical Tools’ organized by Jodo Gyan Resource Centre, New Delhi from December 10,2018 to December 11,2018. The workshop commenced with the introduction of the resource person, Mr. E. K. Shahji and his innovative ways to reach out to the students and transform the way they learn with the designed curriculum and tools of Jodo Gyan. 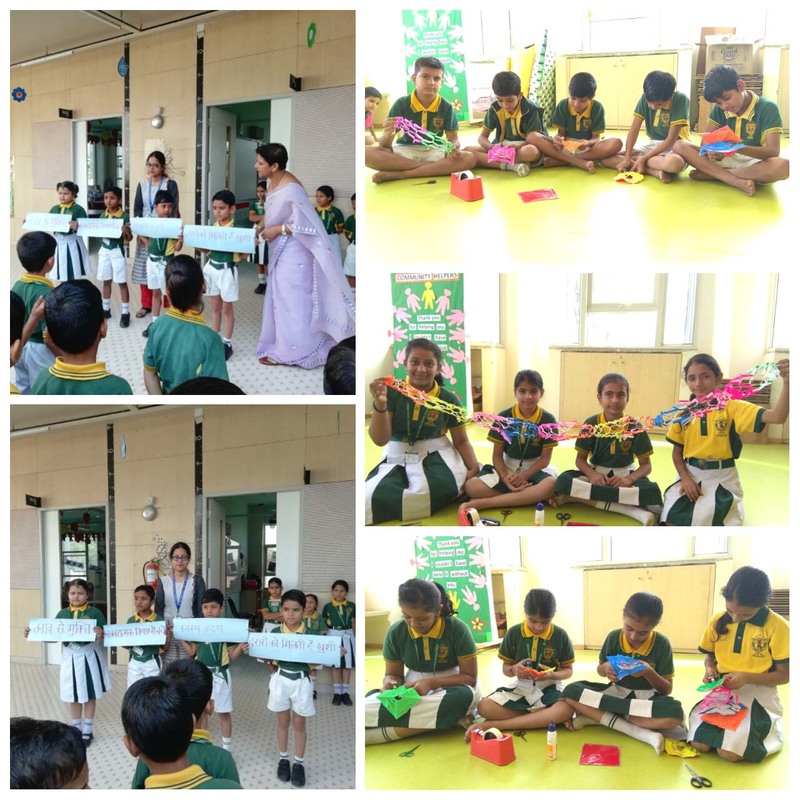 The teachers were encouraged to use various new ways to teach Math like by creating stories, playing with blocks, using Ganit Mala, Ganit Rack etc. The objective of workshop was to change abstract learning to concrete learning. As the children learn better with what they touch, feel and observe, hands on experience was emphasized upon. Numerous activities were carried out by the resource team using Jodo Gyanmaterial beads, Rangometry, Blocks, Dice etc. We all know that teachers never stop learning. This workshop provided yet another opportunity to the teachers to learn something new and implement the same while teaching their young children. 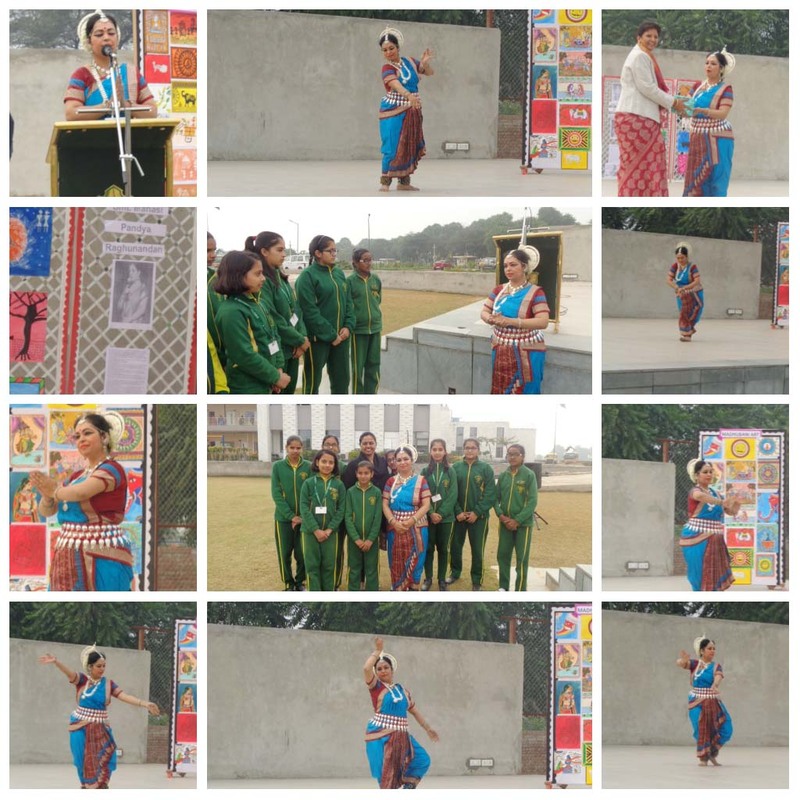 On 12th December 2018, DPS, Pataudi organized a performance of classical Indian dance for exposing the students to India’s culture and heritage. Smt. Manasi Pandya Raghunandan an exponent of Odissi and Bharatanatyam was the performer for the day. The students thoroughly enjoyed her breath-taking performance. The students participated in the interactive session with her after the performance. 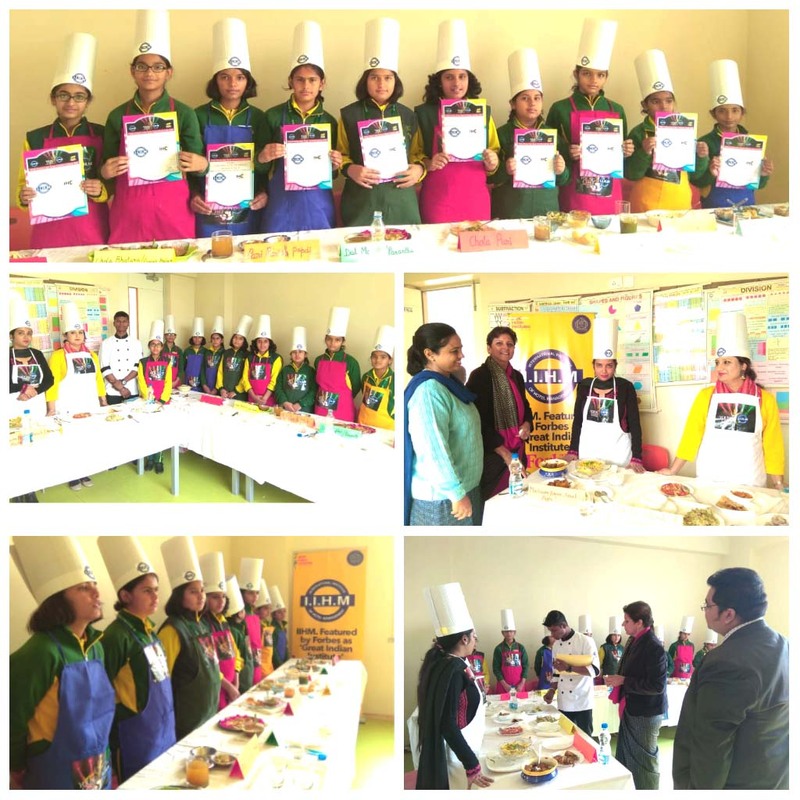 On 13th December 2018, students and teachers of DPS, Pataudi donned their ‘Chef Caps’ to exhibit their culinary skills in a national level competition, ‘Young Chef India Junior’ and ‘Teacher Chef India’ organized by IIHM, Delhi. Children participated with full zeal and enthusiasm as they doled out mouth-watering delicacies. The food items were a visual treat and were presented in an artistic and aesthetic style. Dishes were judged on the basis of taste, texture, consistency, and presentation by the judges, Mr. Rohit and Mr. Kunal from IIHM. Judges were impressed by the efforts of the participants. The event not only provided a platform for the students to foster their creativity but also helped them discover new areas of interest. DPS Pataudi celebrated its First Annual Day on 1st December, 2018 amidst great zest, vibrancy and elation. Mr. V.K Shunglu, Chairman, DPS Society was the Hon’ble Chief Guest on the occasion. 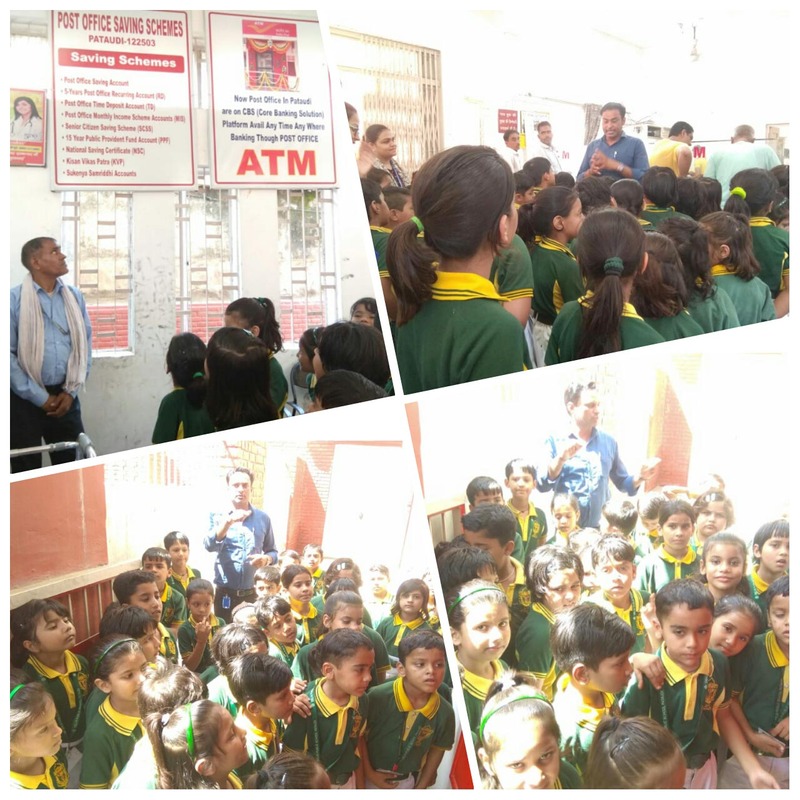 Among other dignitaries present were the Guest of Honour, Mr. Promod Grover, Treasurer DPS Society, Ms. Sandhya Awasthi, Director DPS Society, Mr. Ramesh Gulia and Mr. Rahul Gulia Members Management Committee, Mr. Sharad Gulyani, Pro-Vice Chairman, DPS Pataudi, Ms. Sunita Chopra, Principal, DPS Rewari. The programme commenced with the lighting of the ceremonial lamp by the Hon’ble Chief Guest. The Principal, Ms. Dipinder Kaur welcomed the guests and shared the School’s Annual report. The performances began with the National Song sung by the school choir. The school choir also rendered mellifluous performance on the song “Sur Se Sur Mila Ke Gayein”. The Cultural programme based on the theme of the varied emotions in human life titled ‘Mehak Zindagi Ki’, a musical show comprised presentation through various dance and skit performances. The Dance Drama projected the concept of the nine emotions or Ras which are the essence of human life. The Chief Guest Mr. V.K Shunglu was superlative in his appreciation of the students, teachers and management for a classic presentation. He said, “Being a young school, the school is flourishing well and I am sure within a few years it will be one of the best schools in the area”. The Guest of Honour told the children to be digitally wise and use technology in a way that will benefit them in the long run. The Pro-Vice Chairman, Mr. Sharad Gulyani congratulated the Principal, the Head Mistress and appreciated the efforts of the children and teachers in putting up a spectacular show. He urged parents to encourage and praise their children for their good work and achievements. The parents were enthralled to see the mesmerizing performance of their children on the stage. The beautiful performances left everyone spellbound. The Vote of thanks was proposed by the Headmistress Ms. Nina Soni. A workshop on ‘Supervising and monitoring your child’s behaviour at home’ was conducted by Ms Gunjan, the school counsellor on 17.11.18 for parents of grade 4th and 5th students. The session started with a quick discussion on the regular strategies used by the parents to supervise and monitor their child’s behaviour at home. This was followed by making the parents aware about more effective strategies to deal with their children. The highlights of the workshop was to make parents aware about ways in which they can build a relationship with the child which promotes transparency and helps parents monitor activities of the child. To celebrate the child within all of us, the teachers presented a light-hearted assembly dedicated to their students on Children’s Day i.e., on 14th Nov’ 18. Children were full of excitement witnessing the unique and hilarious performances by the teachers. Classes I to V were mesmerized by the magic show organized by the school. A basketball match took place between the teachers and the students. Teachers sang, danced, and did a ramp walk for the students. A lively interactive session with the Council Members was conducted by the Principal and the Headmistress Ma’am. The Head Girl and the Head Boy of the school thanked the teachers for their unique presentations in the assembly. 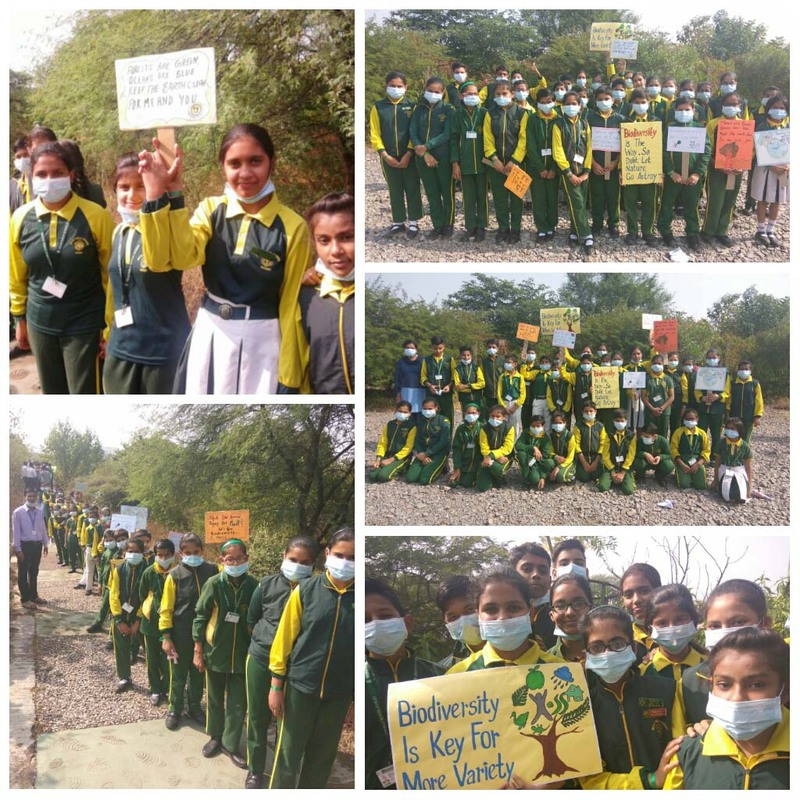 Students from DPS Pataudi were part of the March held at the Aravalli Biodiversity Park on Children‘s Day and ‘adopted‘ the forest as a sacred grove. Around 5000 students, teachers, runners , photographers and volunteers from Gurgaon together voiced their concerns against the National Highways Authority of India’s proposed six-lane expressway-part of the Gurugram-Manesar Connectivity Project, which threatens the park. The students formed a human chain in the park, holding placards which urged the Govt not to start this project. Thousands of trees will be lost if this road is made. Saving the Aravalli is important at this critical juncture when the city and it’s residents were facing the problem of pollution. Letters were written by the students which were addressed to the Hon’ble Prime Minister and Hon’ble President of India and Hon’ble Chief Minister of Haryana and Delhi seeking their attention and requesting to cancel the proposal for the construction of highway through city’s young forest. These letters were displayed at the Amphitheatre and also shared with media. This event was an eye opener for the children where they got a firsthand experience on a social campaign - importance of forests of and power of unity. The students of DPS pataudi visited village Jamalpur on 5.11.18 to meet the residents of village and sensitise them about the harmful effects of plastic . They told them about the impact of plastic on the environment and on our health. They spoke to the people and got a positive response from them. Children disccused about the methods to destroy old things of plastic and not to buy new plastic utensils and other things. They told them that the first thing to avoid was the usage of poly bags .Students also spoke on the harmful effects of crackers and encouraged the people to celebrate a green Diwali. The people of village took an oath with the children that they will definitely stop using plastic articles and will not burst crackers as they realised that the "The earth has enough problems already. So avoid crackers and plastic." 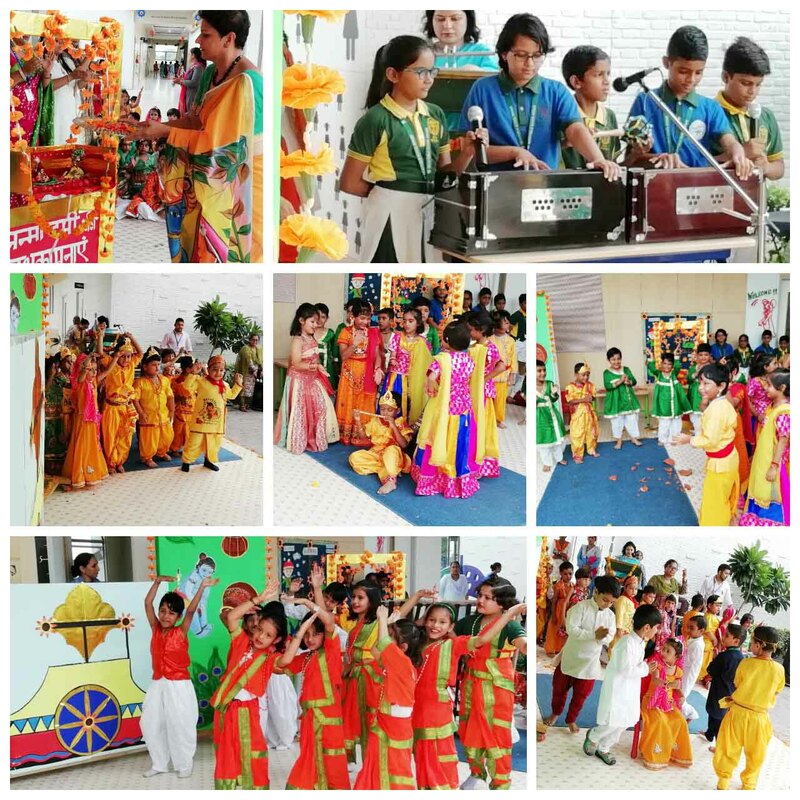 Delhi Public School, Pataudi conducted a special assembly on Nov 5, 2018, to celebrate the festival of lights, Diwali. The assembly commenced with a rendition of an original ‘Diwali song’ by the school choir. The whole school wore a festive look. The assembly stage, the corridors, and the classrooms were adorned with diyas and lanterns in bright colors. Meanwhile, all the ‘Houses’ participated in the Rangoli competition, perfecting and adding to the festive spirit. The theme of the assembly was “Say No to Crackers”. The thought of the day by Real of Class 7th B, the poem by Mehek of class 6th A and the speech by Priyanshi of class 7th A and Rakshita of class 6th A specifically addressed the issue of pollution caused due to the bursting of the firecrackers and the need to celebrate eco-friendly Diwali. In their speech, the students thanked the school for organizing a visit to an old age home to celebrate Diwali. 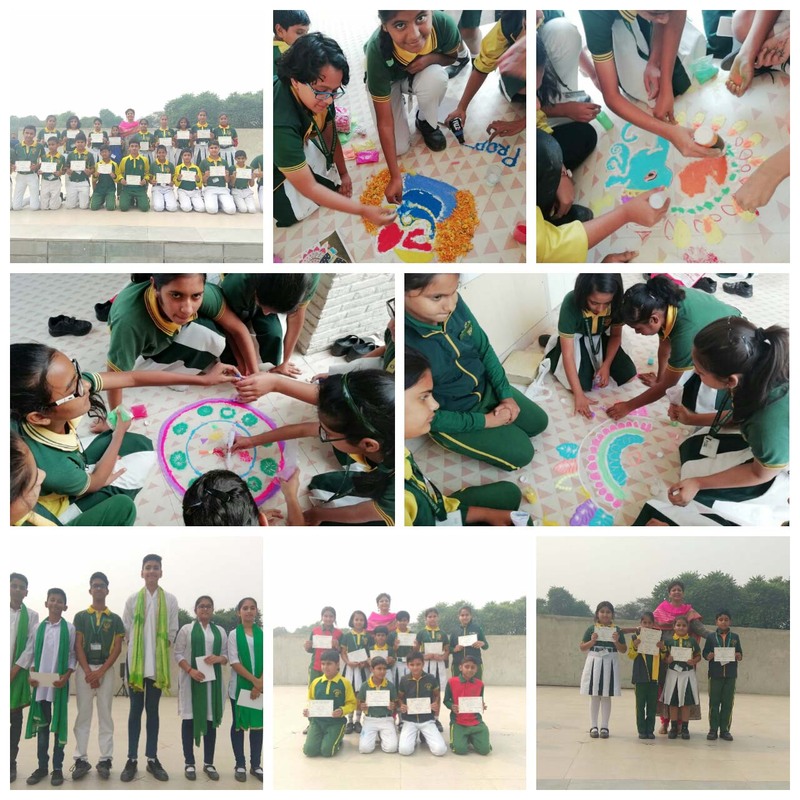 A power-packed Nukkad Nattack enacted by the enthusiastic students of class 9th on the much-needed issue of celebrating Green Diwali left an indelible mark in the minds of the students. The assembly concluded with the address by the school Principal, Ms. Dipinder Ma’am gave the message and motivated the students to celebrate a cracker free, green, clean, peaceful and bright Diwali. 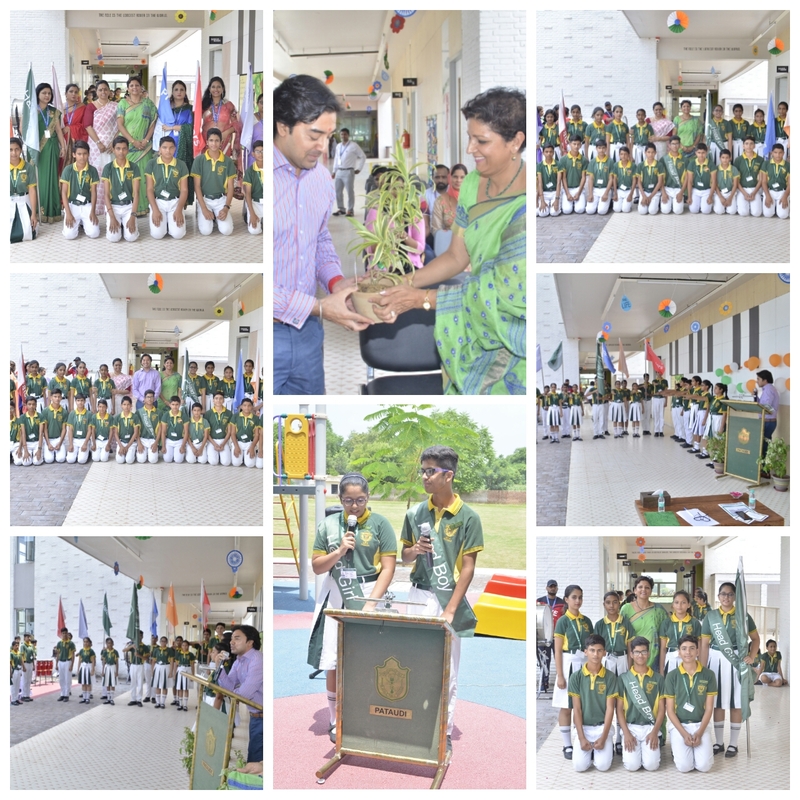 The students pledged to celebrate a Green Diwali. Delhi Public School, Pataudi held its first Scholar Badge Ceremony on Nov 3, 2018, to felicitate the meritorious students for their excellence in academics and co-curricular activities. More than 80 students were conferred with excellence for their stellar performance in different categories. The function commenced with the National Song, ‘Vande Mataram’ sung by the school choir. The function was graced by The Director DPS Society, Ms. Sandhya Awasthi, Pro- Vice Chairman Mr. Sharad Gulyani, Member of the Management Committee Mr. Rahul Gulia. Ms. Sandhya congratulated the school on its first Scholar Badge Ceremony. She also congratulated the scholars and acknowledged the contribution of the parents in their success. She hoped for the constant efforts of the students and continued support from the parents’ side. The School Principal, Ms. Dipinder Kaur, in her address, applauded the accomplishment of the young scholars and inspired them to continue to work diligently so as to reach the pinnacle of success. She thanked the parents for their unstinted support in taking the institution to greater heights. It was a proud movement for the Pro- Vice Chairperson, Mr. Sharad Gulyani who motivated the awardees and wished to see more scholar badge holders the next time. A mesmerizing folk dance and song performance were put forward by the students. The enthusiasm and triumphant spirit of the young scholars could be seen when they were awarded. The happiness and pride in the eyes of the parents were much evident as they witnessed their children receive the certificates for their proficiencies in academics and co-curricular activities. The ceremony came to a close with the vote of thanks by the Head Mistress Ms. Nina Soni followed by the National Anthem. DPS, Pataudi celebrated the Rashtriya Ekta Diwas on 31st October 2018 to commemorate the birth anniversary of Sardar Vallabhbhai Patel. A special assembly was organized in the school on this day to pay tribute to the “Iron Man” of India. The assembly began with the rendition of the National Song of India by the school choir. 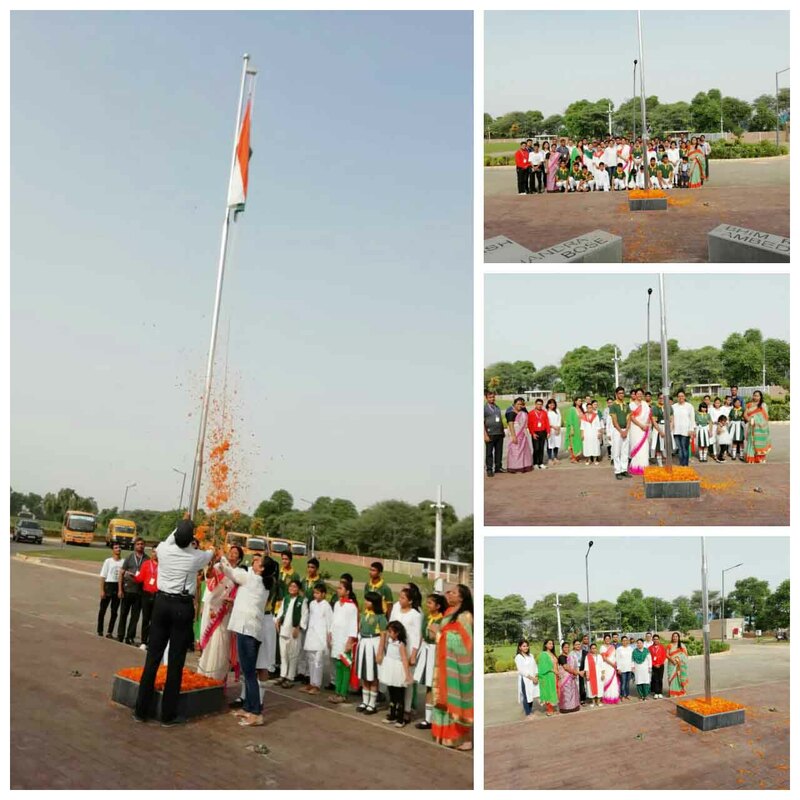 The school Principal made students and teachers pledge to preserve the unity, integrity, and security of India. She reaffirmed the need and importance to treasure and protect the unity of the country. The life, the principles, the values, and the achievements of Sardar Vallabhbhai Patel to unify India were celebrated. The speech focused on his invincible determination to build a united India, his contribution in the independence and in maintaining the integrity of the country. Students were quizzed on the life, works, and contribution of Sardar Patel. Sardar Patel’s contribution in the herculean task of uniting the provinces of pre-independent India was explained to the students through various anecdotes from his life. After the assembly, the students proceeded for the “Unity Run” within the school premises in which students from all the classes participated. 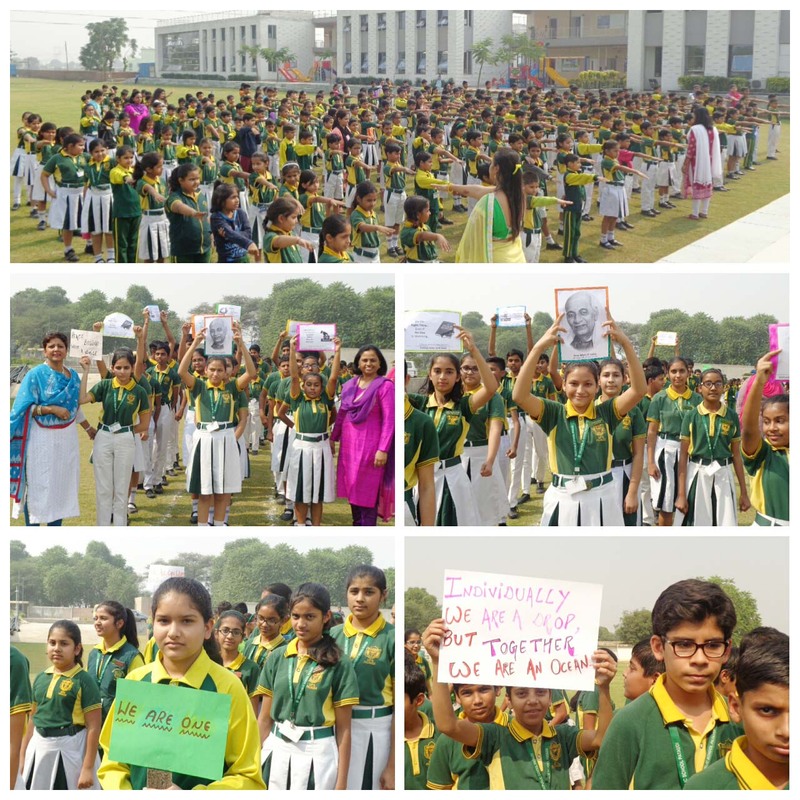 During the “Run for Unity”, students also displayed placards with quotes centered on the theme of unity in India. Later during the day, the Social Science teachers asked all the students to write the pledge in their notebooks. Students were awed and inspired by the great freedom fighter, a visionary and man with the will of iron. DPS, Pataudi commemorated the 150th birth anniversary of Mahatma Gandhi by declaring the first two weeks of October as the weeks of “Unity in Diversity”. During this period, the life, the achievements, the values, and the principles of Gandhiji were celebrated. The assembly began with a special tribute to Mahatma Gandhi. The school Principal made the students take the pledge on ‘Ramdhun’. Students shared anecdotes from Gandhiji’s life, delivered speeches and recited poems, organized a quiz on life and tenets of Gandhiji. The school choir sang Gandhiji’s favourite devotional song ‘Raghupati Raghav Rajaram’. Each day a pledge or hymn from a different religion was made by the students in the assembly. The Principal enlightened the students on the need and importance of inculcating values and thoughts propagated by Mahatma Gandhi in their daily lives. She stressed Gandhiji’s ideas on religious tolerance, social equality, truth, and non-violence. She also reiterated the necessity of keeping the secular nature of our country intact. Gandhiji’s value of cleanliness was practically applied. The school participated in a cleanliness drive. Gandhiji’s principles practically reverberated in the school as the students tried to follow in his footsteps. 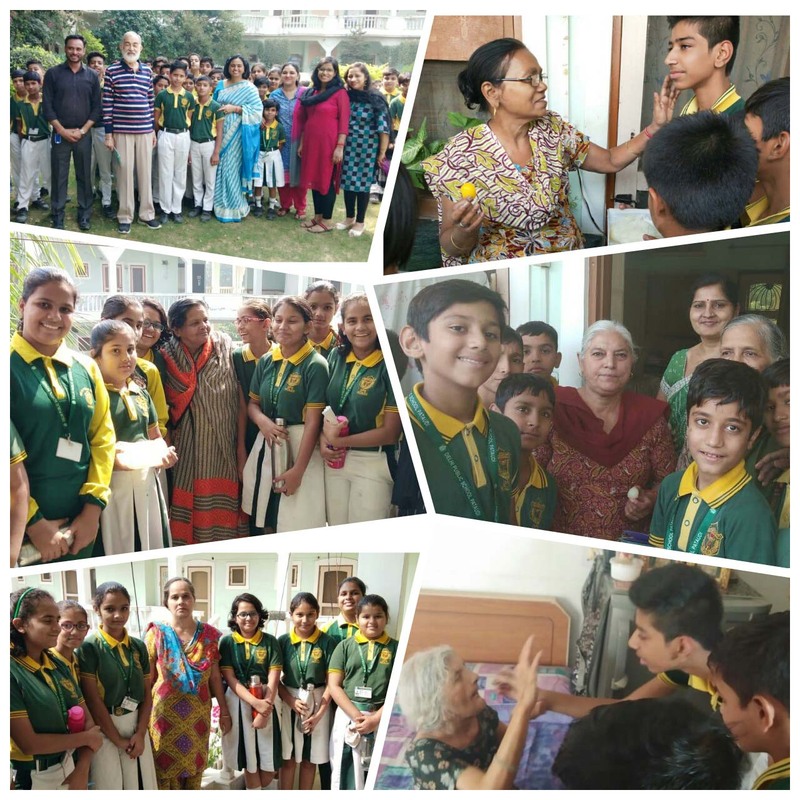 To sensitize the children of today and inculcate in them the values of empathy and compassion, a visit to Ashram Hari Mandir – An old age home was organized by Delhi Public School Pataudi for the students of classes VI and VII on 29th October, 2018. Ashram Hari Mandir was founded by the divine saint Swami Amar Dev in 1920 in Kotjai. Post-Independence the Ashram was relocated to Pataudi (district Gurgaon), Haryana, India. During the visit, children visited each room where the inmates were wished Happy Diwali and also gifted many handmade greeting cards that the children had themselves made. Also, sweets were shared with them and children sought the blessings of the elders by touching their feet. Children also asked various questions from the elders about their daily routine and asked them to share their life experiences. The aim of this visit was to inculcate the moral values in the children so they become responsible citizens. It was a poignant experience as well as huge learning experience for the young children. The students of Class-I put up a wonderful presentation on 29.10.18. The theme of their presentation was "Community Helpers". The presentation started with a Welcome Song followed by the introduction of different professions, a small play and rhymes. Parents were invited to be part of this presentation. Students played the role of community helpers such as doctor, pilot, gardener, greengrocer etc. They told the audience that the helpers play a very important role in our day to day life. We should thank and acknowledge their work. The enthusiasm was evident on the young faces. The presentation was concluded with the valuable words of Mrs. Dipinder Kaur, the principal of school. 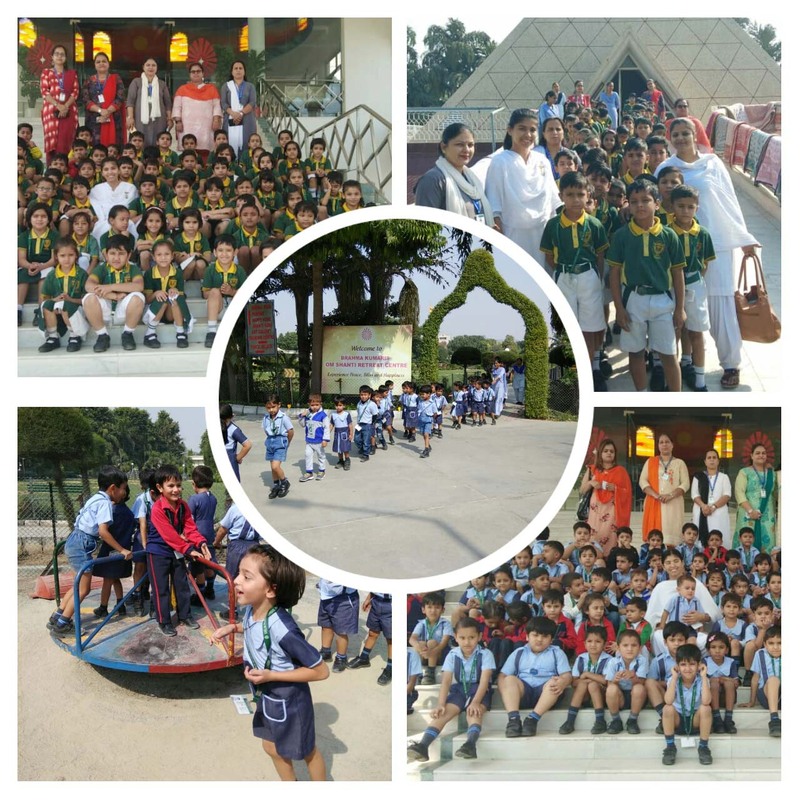 All the students of class Nursery to II went on an educational trip to Om Shanti Retreat Centre, Bhorakalan, Pataudi on 23rd & 24th October,2018. Students visited the Museum, Art Gallery and Pyramid. The Representatives of the Retreat explained the concept of Om Shanti through stories to the students. At the end of the visit, the students were ushered in the area which had a number of swings. They were on cloud nine on seeing the swings and enjoyed immensely on them. It was a wonderful experience for both the students and teachers. A workshop on Cyber bullying was conducted by Ms Gunjan, the school counsellor on 16.10.18 for students of grade 8th and 9th. The highlights of the workshop was to make the students aware about cyber-bullying focusing on reasons why people cyber bully, statistics on cyber bullying and measures to be taken to stop and report any incident of cyber bullying. To make the session more interactive, students were shown a short documentary on bullying which was followed by a discussion on the frequency of use of different social media sites amongst the teenagers. This helped in making the students aware that in a generation they are living in; we are inevitably surrounded by use of electronic devices and have access to various social networking platforms. However with this as a boon, they need to be even more careful when it comes to drawing a boundary with respect to the kind of conversation and messages that are being exchanged online. Through the workshop, students were able to understand that cyber bullying is something to be taken seriously and that the impact cyber bullying can be dangerous. They became more aware about how bullies can go through self doubt where they become emotionally vulnerable thereby engaging in self harm as a way to deal with reduced sense of self esteem. 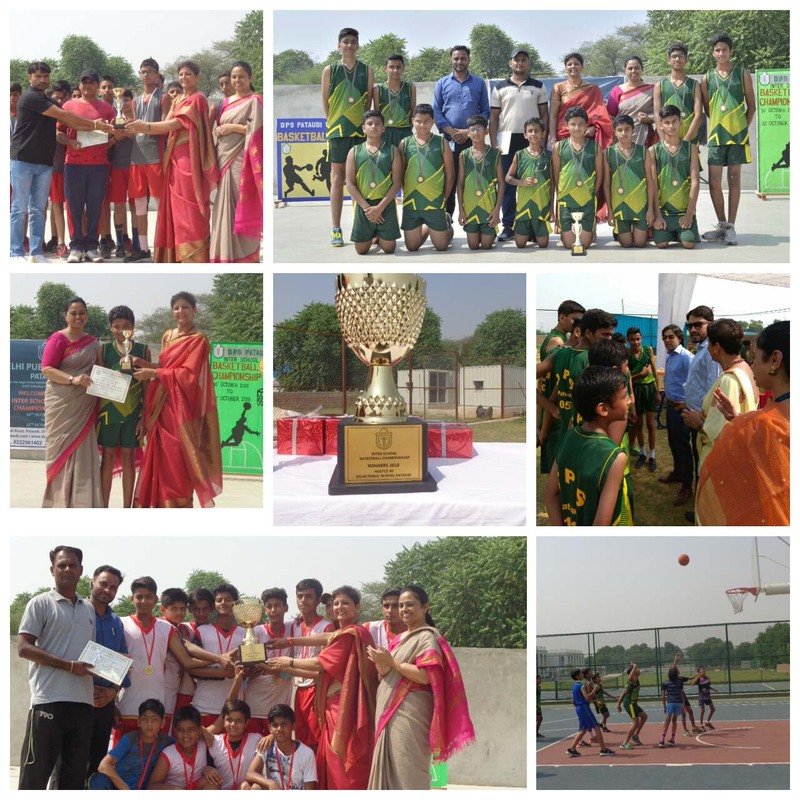 Delhi Public School, Pataudi hosted the Interschool Basketball Championship 2018 from Oct 10, 2018 to Oct 12, 2018. Teams from the neighbouring schools participated with great zeal, exhibiting a good competitive spirit. A total of 10 teams participated in the three day event. The officials from reputed schools and academies conducted the tournament with all fairness. The three day event witnessed some great action, tough competition and true sportsmanship. . 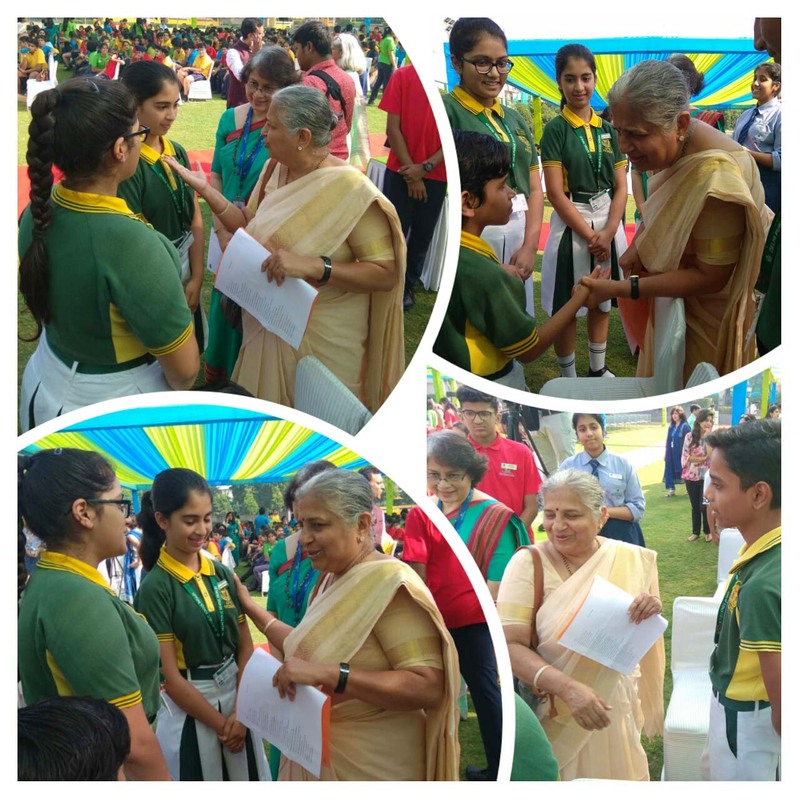 The Principal Ms. Dipinder Kaur gave away the prizes and medals to the winning teams. Pathfinder Global School emerged as the Champions. The second position was bagged by SSC Academy and the third position was bagged by Delhi Public School, Pataudi. Shiv Sahil from DPS, Pataudi was declared as the best player of the tournament. An interesting cooking without fire activity was organised for the tiny tots of the school. Children were taught to make 'Sprout Chaat'. Sprouts is a wonder food due to its high nutritional value. Natural sprouts are good for a healthy body and mind development. 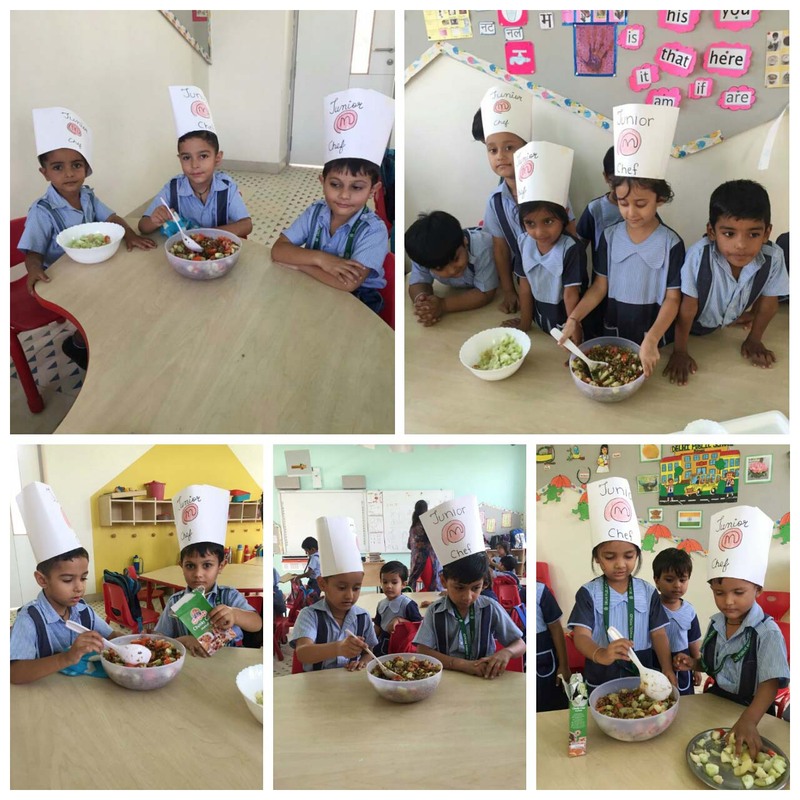 The Nursery and KG students happily worked together to made this healthy chaat.The kiddies kitchenette activity helps them to learn how to follow directions. It builds their language skills, self - confidence and lays the foundation for healthy eating habits. Delhi Public School, Pataudi participated in the book launch event of the renowned author, philanthropist, chairperson of Infosys Foundation and Padma Shri awardee, Sudha Murty’s new book The Upside Down King on Oct 5, 2018. The venue was filled with an enthusiastic audience of students, parents, and teachers. The author shared her childhood experiences and the inspiration behind her stories with the students. Excerpts from the book, The Upside Down King was read out to the audience. The vivid short story narration by the author was followed by an open house question session. Head Girl Ishika, from DPS, Pataudi asked the author if she believed in “writer’s block”. To which the author replied in the affirmative. The students of DPS got a chance to interact personally with the author. The author motivated the students to develop a reading habit. The book release was extensively covered by the leading newspapers. A journalist from The Hindustan Times interviewed the students of DPS, Pataudi after the event. The eager students purchased her books. Everyone left with an anticipation of happy reading hours to come. Visit to the Post Office was an educative and a fun filled trip for the Students of class- II on 28th of September, 2018 . The children learnt about the services provided by the Post Office to the public. They were told about the different services available at the Post Office such as registered post, money order and speed post. The Post Master explained all these things to them .Students had a feel of the postcards and stamps there. In the high tech era of Mobiles and e-mails, the children enjoyed watching the services of postman in delivering the letters in person to the public. The purpose of the visit was to make them aware about postal service in our country. The children keenly observed the working of the post office. It was a great learning experience for the children. “Dance is the hidden language of the soul of the body.” An Inter-House Dance Competition was organised by Delhi Public School, Pataudi for students of classes III and IV in the school campus. 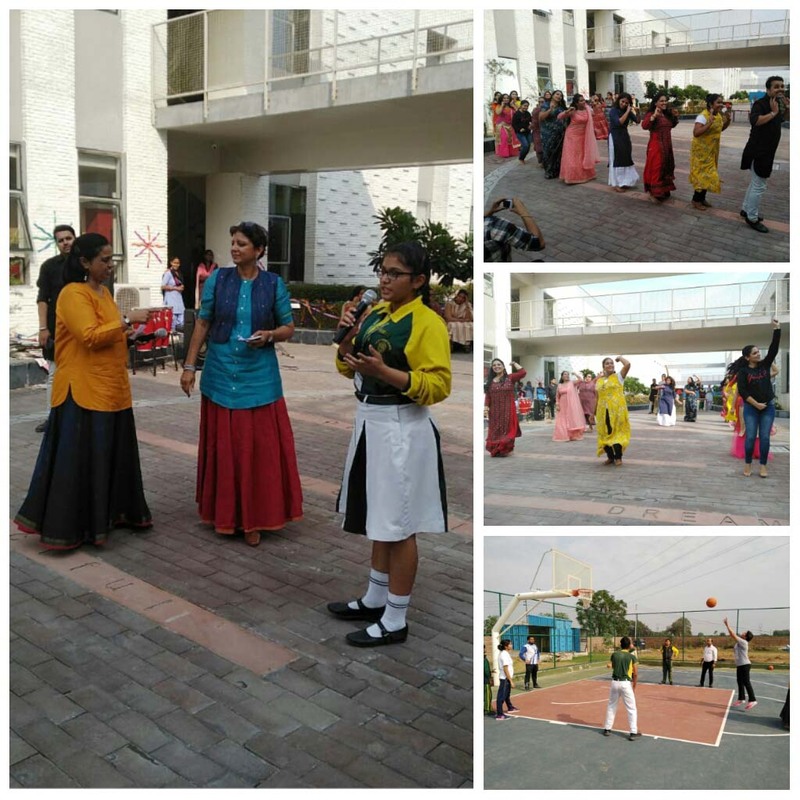 The Principal Mrs. Dipinder Kaur felicitated the guests and extended her gratitude for sparing their valuable time for the school and the students. The guests for the day were Ms Neha, Head of Nest Pre School and Ms. Dolly, Coordinator of Kidzee. The theme of the competition was “Indian Folk Dances”. The dancers put up energetic performances. The fun filled extravaganza offered folk dance forms of Rajasthan, Punjab, Bengal, Assam and Gujarat. The audience appreciated the enthusiasm and energy of the young children as they enthralled everyone with their performances. In the closely contested competition, Vanguarders House claimed the first position. The guests complimented the efforts put in by all the six Houses. They shared their experiences and applauded the efforts put in by the students and the teachers. The School organized an educational trip for Class IX students to the National Institute of Immunology on Friday, September 28th, 2018. National Institute of Immunology is engaged in the research activities on the immunological defense mechanisms of the body, to facilitate the development of innovative prophylactic, diagnostic and therapeutic measures for the health industry. During the visit students were apprised about research activities and the R&D outcomes in the field of immunology. The visit included Laboratory visits, scientific poster exhibitions and Lectures by NII Scientists. Students were enlightened with translational research in the areas of vaccines and drug development. They were told about ongoing research focused on designing novel immunogens, anticancer agents and therapeutic inhibitors against pathogens of public health significance. It was a very informative and fruitful visit for the DPS Pataudi students . The students of Class-I visited Railway Station on 20th Sep 2018 to enhance their knowledge on the working of Railway Station. At the entrance they observed huge digital board that reflected the arrival and departure schedule of trains. They met the station master who showed them the control panel and explained its working. The purpose of the visit was to acquaint the children with the transport facility used by most of the people in our country. 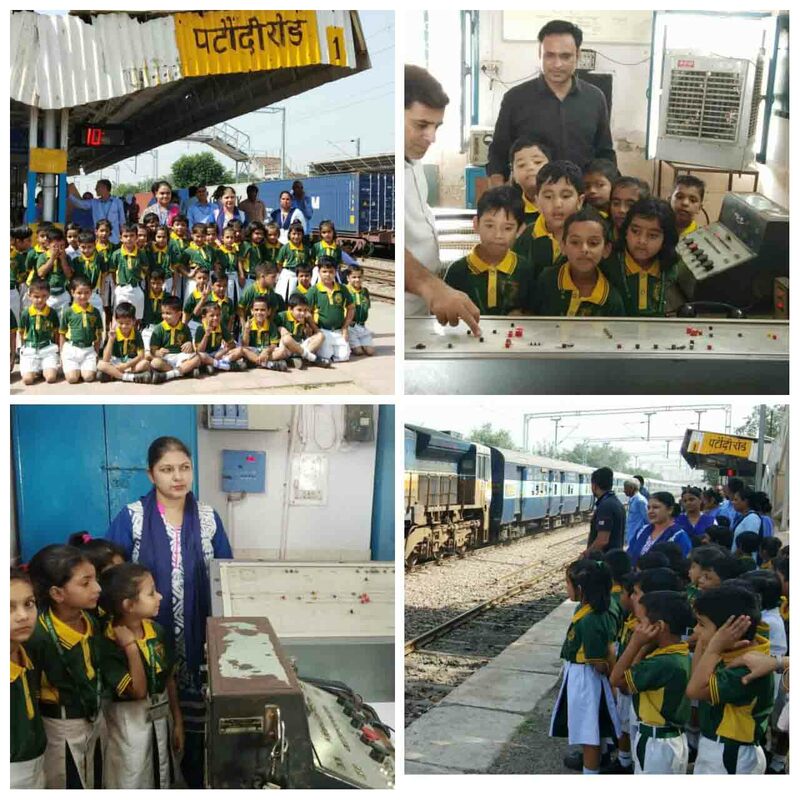 The children observed the ticket counter, the indicators displays the time and name of the trains. They were excited to see passengers train and goods train. It was a great learning experience for the children. Ganesh Chaturthi is a Hindu Festival Celebrated as the birthday of Lord Ganesha, the son of Lord Shiva and Goddess Parvati. 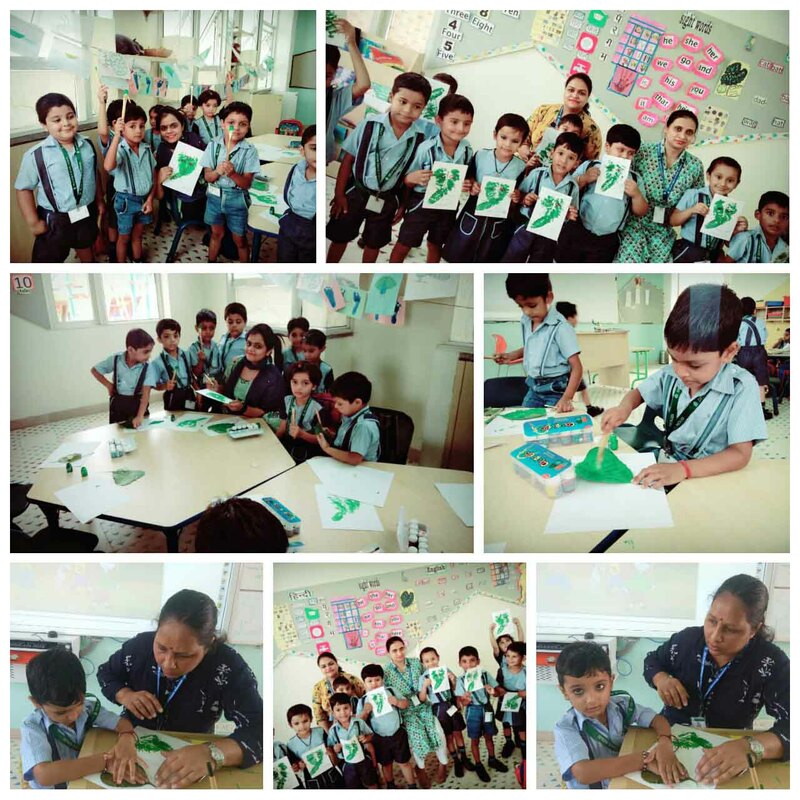 On this auspicious day, the children of Nursery and Prep made images of Lord Ganesha with leaf painting. Teachers made tthe students aware about the festival. “Science – Discover the Undiscovered” – a three-day workshop was organized by HRD Centre, DPS society forUpper Primary School Teachers. It was attended by Ms. Pallavi Mahajan and Ms. Charu Saxena. During this workshop, the teachers got an opportunity to contribute and enrich themselves in various dimensions related to teaching – learning of Science. The environment at the Workshop created a conducive, productive, interactive and enjoyable learning experience. The workshop not only enlightened all of us but also enriched us with the joyful and curious world of Science. It also helped us to evolve and sharpen ourselves in a better way towards understanding of Science. The program aimed for academic developments and to make the teaching of Science more innovative and meaningful. A Discussion Meet of Mathematics- “ Topic- Discover the Undiscovered” was organised for teachers teaching Mathematics to classes I to V at HRDC, Lodhi Road. It was attended by Ms. Rekha Gupta. The Discussion Meet focused on : 1. Learning Objectives and outcomes in mathematics. 2. Best practices to be followed for teaching mathematics 3. Play-way method of teaching. 4. Challenges faced in Mathematics teaching at primary stage 5. Activity Based learning-A Joyful experience. 6. Experiences and problems faced by teachers of DPS family. The program provided a much deeper insight into the concept of teaching, development of students as well as development of teachers. 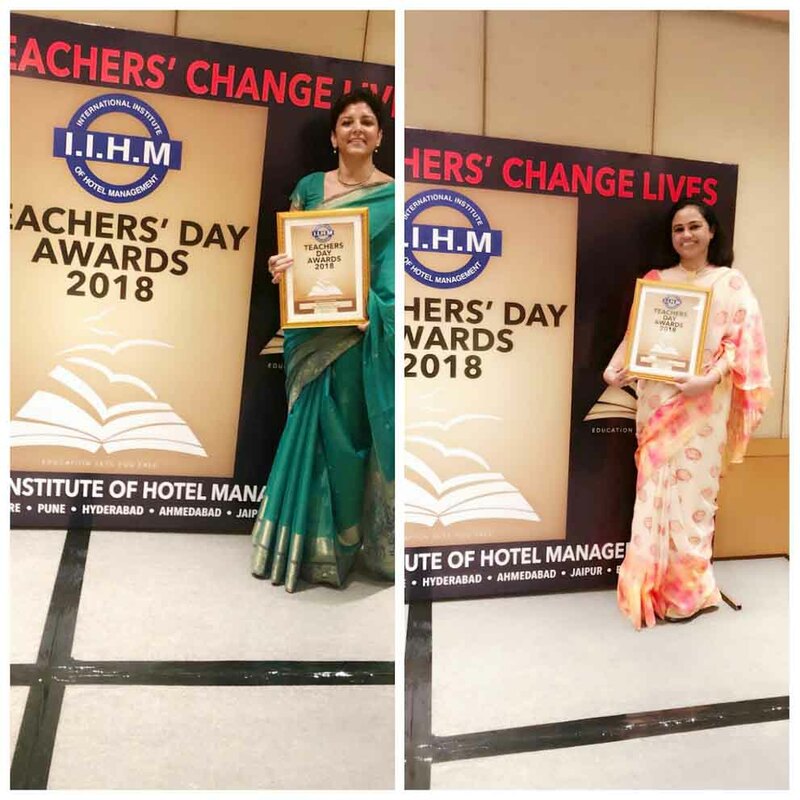 It was a moment of pride for DPS Pataudi when both the Principal and Headmistress were felicitated by IIHM and IHC, London for the Teachers Award for the year 2018 at a grand ceremony held on 1st September. These stalwarts have been selflessly working towards bringing about a positive and significant change on the impressionable minds. 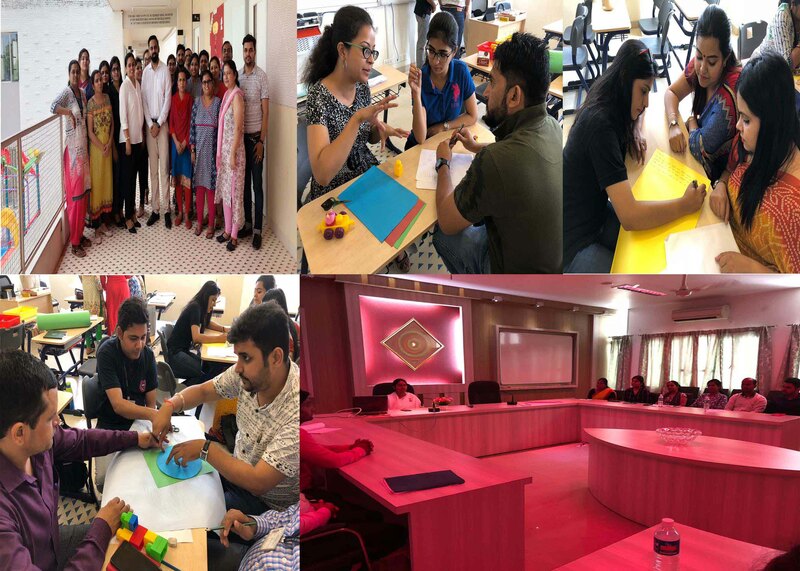 Various innovative teaching methods have been inculcated by them which has made teaching - learning joyous and creative for the students and that is what makes them stand apart in the teaching community. They are incorporating new methods of development and improvement in order to bring about significant changes in the holistic development of children. Krishna Janmashtami marks the birth of Lord Krishna who is the symbol of love, joy, might and wisdom. It is celebrated across the nation with great fervour and joy. 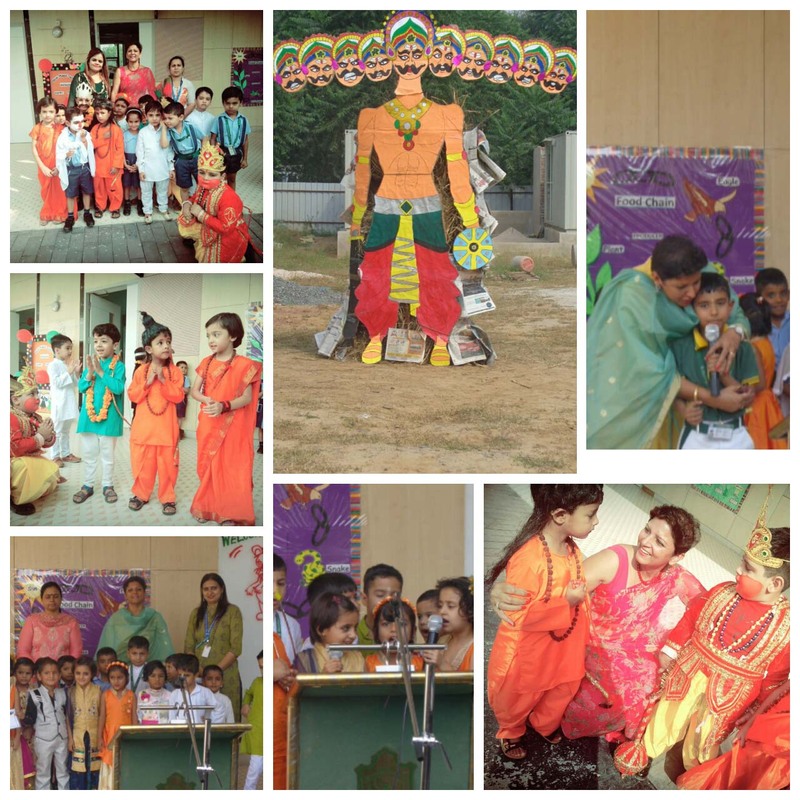 Students of Delhi Public School Pataudi celebrated Krishna Janmashtami with a special assembly. Students of Nursery to class 2 enacted the ‘Raasleela’. Parents of these students were invited to see their wards perform. The children looked adorable in their costumes as they trotted on the stage dressed as Krishnas, Radhas, Gopis and various other characters. 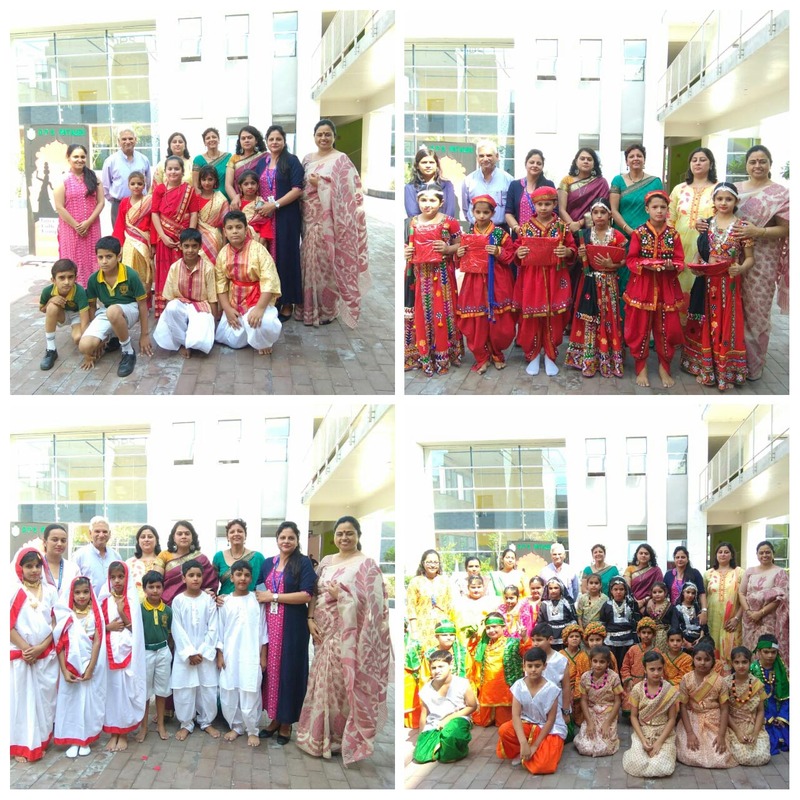 Group songs and the scintillating dance performances were lauded by the parents & all the teachers present. The complete enactment gave a message of how one should value friendship, sincerely do one’s duties, show pure and unconditional love, focus on work and not the results and one should always stand for the right. The audience was enthralled by the performances of the students. 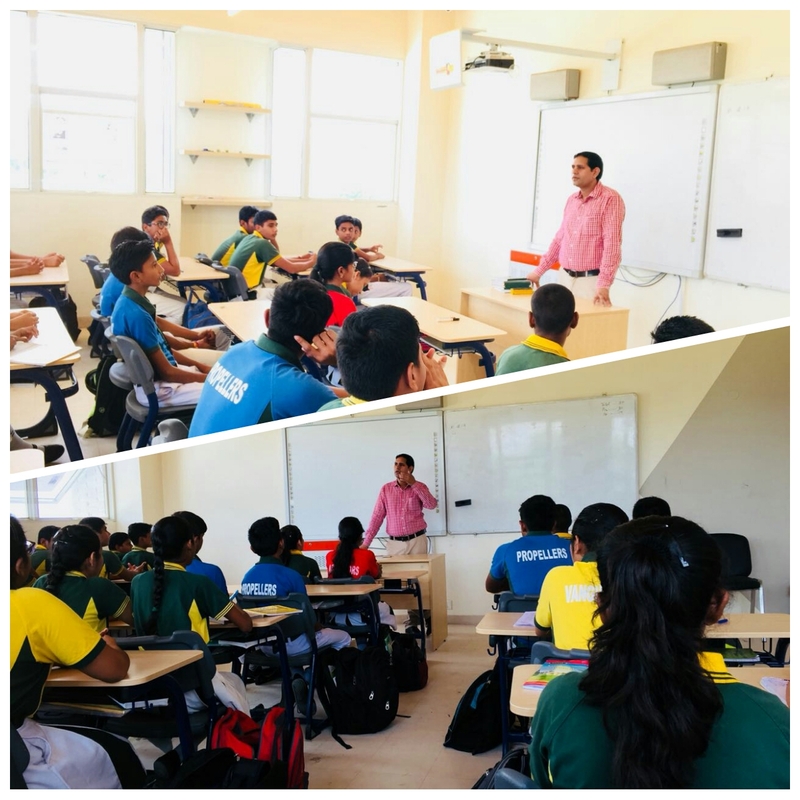 In order to widen the horizon and give some knowledge about various jobs and occupations to students, a session for Class IX was conducted on Friday, 31st August by Dr Dinesh Singh Tewatia. He provided valuable inputs from his area of expertise, that is in the field of medicine, to the students. The session was very interactive as the young learners were very inquisitive and posed a lot of questions about this profession. 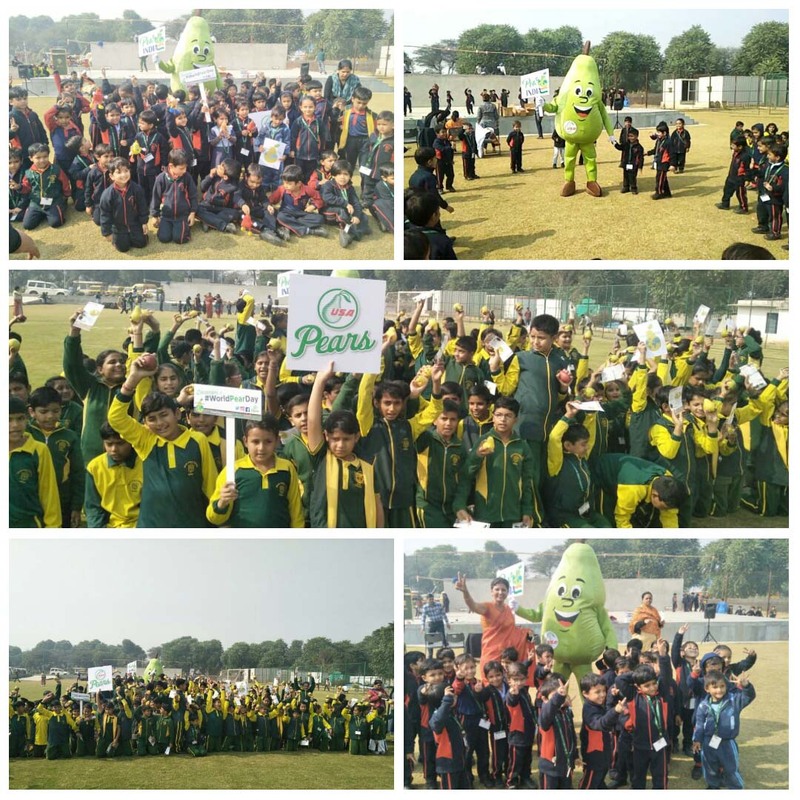 The Go Green Club of DPS Pataudi is committed to making proactive contributions in making the school and neighbourhood green and clean. Carrying forward this concern for the environment, students of ‘Go Green Club’ carried out a plantation drive in the school campus. 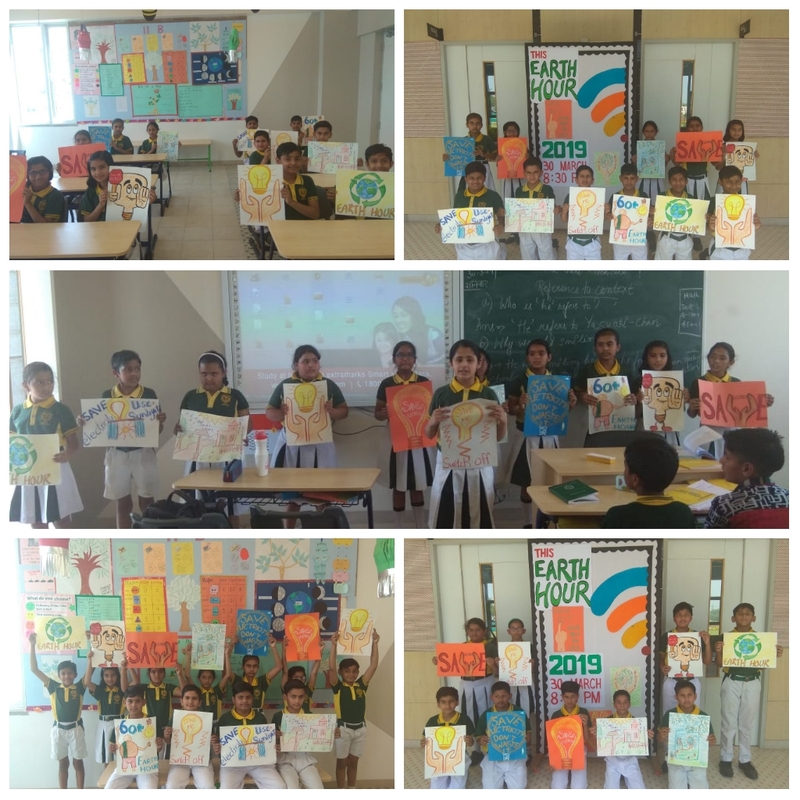 Students from other classes as well enthusiastically participated in this drive and also promised to continue their greening efforts at their homes and neighbourhood. Rakshabandhan is one of the most endearing ways to celebrate the bond between brothers and sisters.The students were explained the importance of this festival which strengthens the ties between a brother and sister. To strengthen this bond ’Rakhi Making Activity’ was done in classes nursery and prep. Students showed keen interest on the occasion and the atmosphere was rife with joy & happiness. An interesting cooking without fire activity was organised for the tiny tots of the school . Children were taught to make ‘Tri Colour Sandwiches‘. They had a lot of fun while making these sandwiches. The Nursery and KG students happily worked together to put the ingredients like green sauce,red sauce ,cucumber slices and cheese spread. All the students were excited and delighted to make the sandwiches. 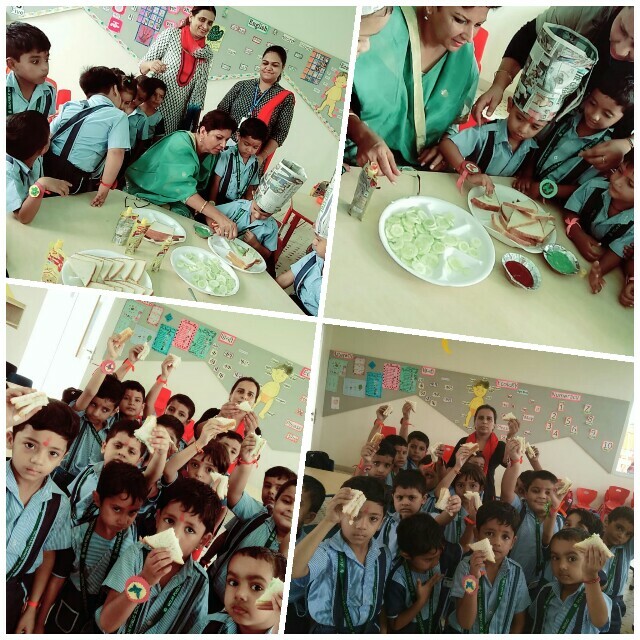 This kiddies kitchenette activity taught students the value of sharing and also promoted healthy eating habit amongst children. “Leaders are the role models who inspire the followers and motivate them to reach the pinnacle of success.” Delhi Public School, Pataudi held the Investiture Ceremony, of conferring titles and investing powers to the members of the school council on Tuesday, 14th August 2018. The chief guest for the occasion was the Pro Vice Chairman of the school, Mr. Sharad Gulyani. The ceremony started by lighting of the ceremonial lamp which signifies removal of darkness and the continuous upward movement of the flame denoting the path of wisdom and divinity. The rendition of the National Song and the song ‘Bhor ke rahee…’ by the school choir mesmerised the audience. The dance celebrating different seasons performed by the senior girls enthralled one and all. 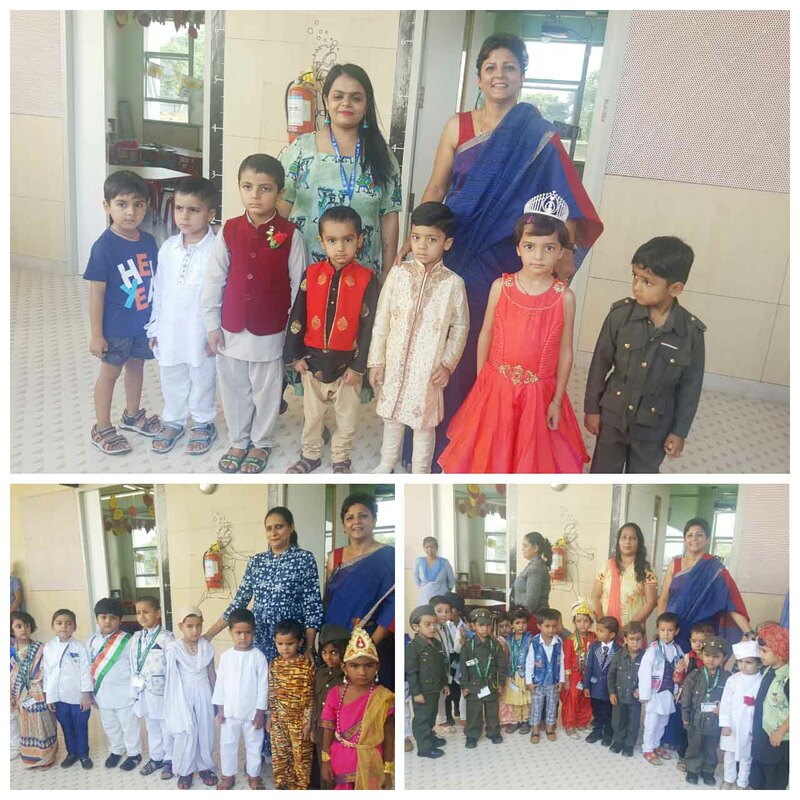 The Principal, Ms. Dipinder Kaur, welcomed the guests and the proud parents of the Appointees she expressed her pride in investing the young students with the responsibility of being leaders and role models for the rest of the students of the school. She urged all to work honestly and be caring in their conduct. The chief guest, Mr. Sharad Gulyani addressed the gathering, enlightening the appointees about their role of a leader in school and society. He told the appointees to be respectful towards all and keep the flag of DPS Pataudi flying high. He then administered the oath of office to the appointees and presented them their badges. The Head boy and Head Girl shared their moments of pride and gratitude to the teachers and parents. On behalf of the entire school council they promised to carry out their duties to the best of their ability in accordance to the vision and mission of the school. The proceedings came to an end with the Vote of Thanks proposed by the Headmistress, Mrs.Nina Soni. Teej refers to the monsoon festivals, it commemorates bliss & happiness in everyone’s life, observed particularly in western and northern states of India. The festival celebrate the bounty of nature, arrival of clouds and rain, greenery and birds with social activity, rituals and customs. 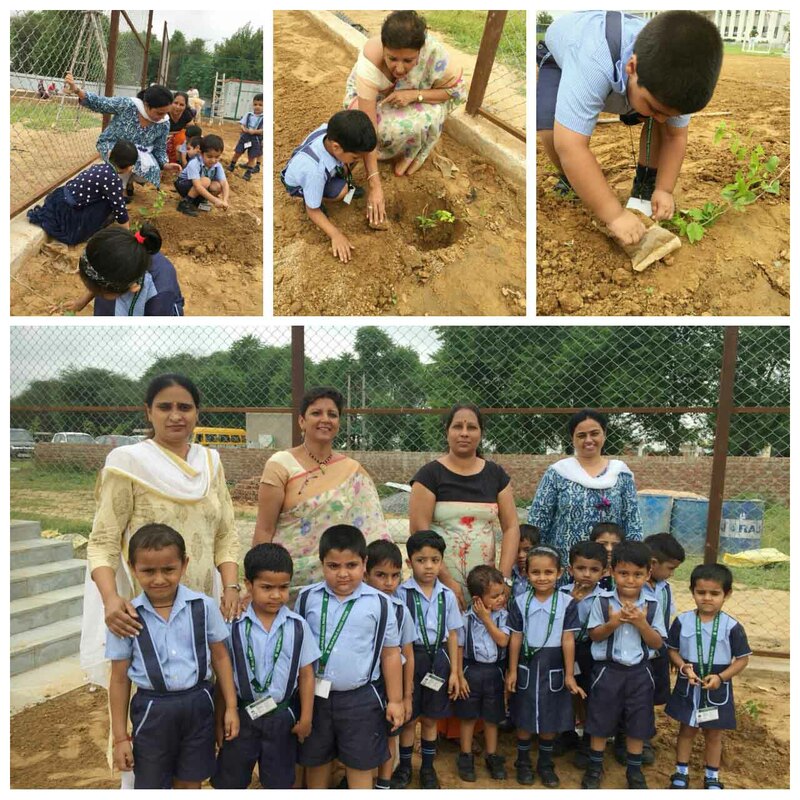 Students and teachers of DPS Pataudi celebrated the bounty of nature on the occasion of Teej. All teachers dressed up in green to express connection with Mother Earth. Infants merrily swung on swings decorated with flowers. Older students enjoyed flying kites which teachers also joined in with enthusiasm. Scholastic and co scholastic activities have an equal importance in school programme for all round development of the child. Keeping this in view, we at Delhi Public School, Pataudi organised a Fancy Dress Competition for the children of Classes Nursery & Prep. The purpose of organising the competition was not only to blend learning with fun but also to develop confidence in the students by giving them an opportunity to get on the stage and speak in front of teachers and other students. Children came dressed in the costume of their favourite freedom fighter and spoke a few sentences on the character that they depicted. The effort and hard work of children was highly commendable. The competition proved to be great learning experience for the students and gave them a platform to explore their hidden talents. An Inter DPS Dance competition “Nrityanjali” 2018 was held on 11th August, 2018 at DPS Sector 45, Gurugram. 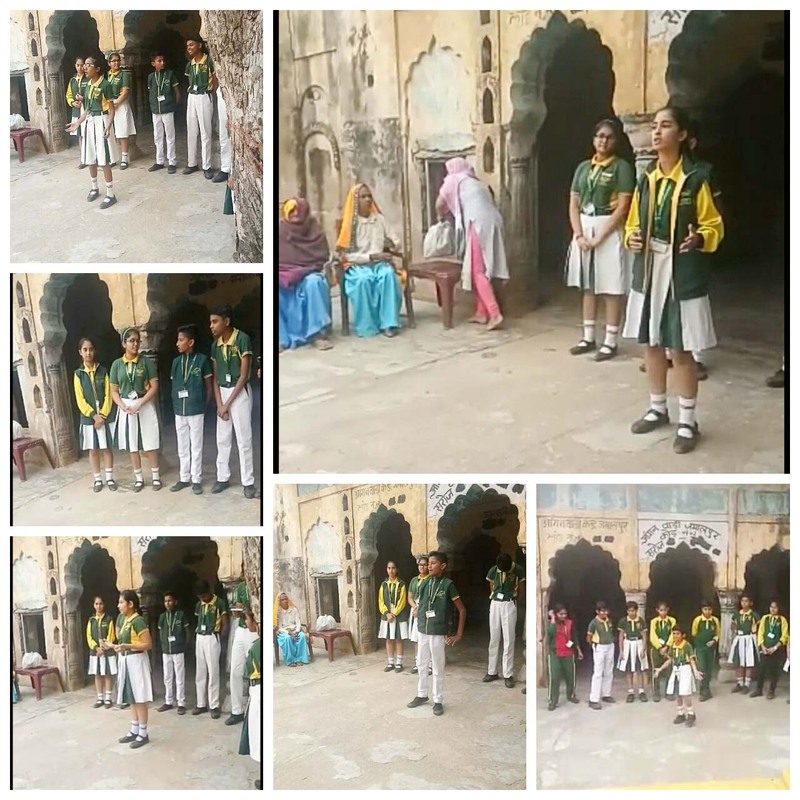 Students of DPS Pataudi participated in such a competition for the first time. 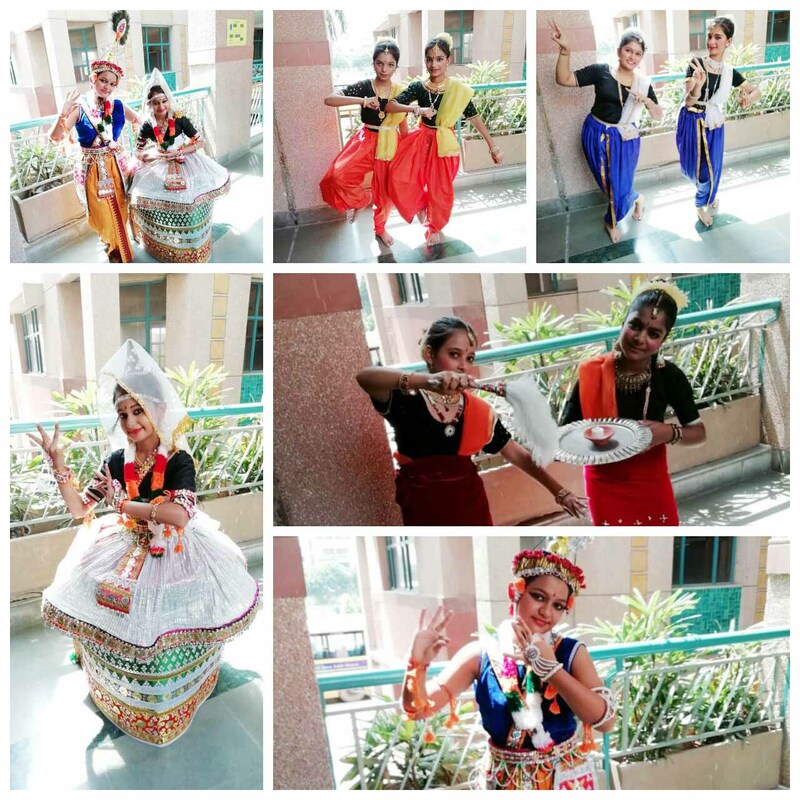 The students performed on the theme “The celebration of Barah Masha” The name of the dance composition was Rituranga – the seasons galore in the form of Manipuri Classical Dance. The participating students dressed up in Manipuri Classical dance costume swayed to the beats of music of Rituranga. The composition started with the summer season and covered all the six seasons- monsoon, autumn, pre-winter, winter and the spring. The students were enthralled by the experience of performing in such a prestigious dance competition. DPS Society had organized a three day workshop on how to make the classroom more inclusive for counsellors, special educators and regular classroom teachers. 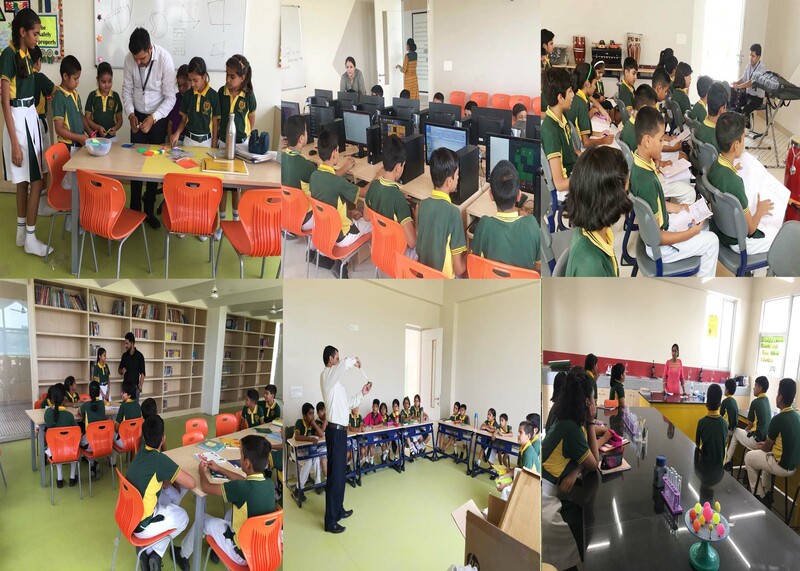 The classroom and the school space consists of children coming from diverse backgrounds with various expectations and needs. Thus, its important for teachers to become more aware and cater to the needs of each child. The three day workshop covered topics like Understanding IEPs, Curriculum modification/ adaptation/adjustments, need based assessment with the focus on creating Inclusive learning spaces for the 21st century child. The aim here is to create organic spaces of learning for all. A positive school environment characterises elements of a good learning centre. It includes working on the pedagogy adopted by teachers and adopting a Universal design of learning where teaching learning material is modified to fit in the needs of each child of the class. Moreover, ICT plays a crucial role in helping all students including children with special needs to learn in a way the child can learn. Thus, for a school environment to be inclusive it’s important for teachers to understand that ‘if the child cannot learn the way you teach, the teachers need to start teaching in a way the child can learn’. The sports stay back activities , after school hours , kicked off very enthusiastically on 3rd August 2018. The children were very excited to learn the nuances of the sport that they had opted for . 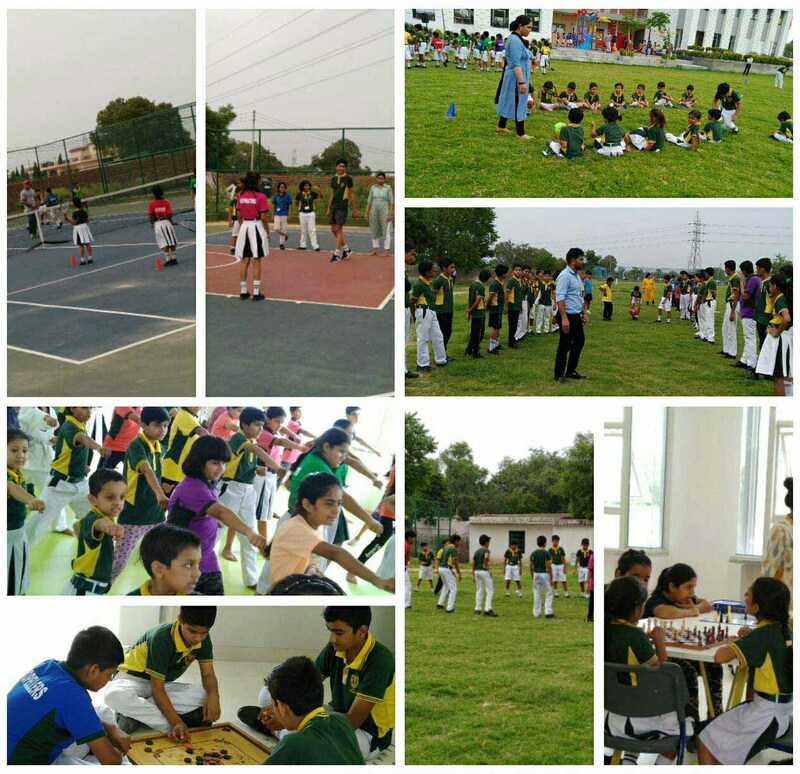 Children from Cl 1 to 8 had opted for Football, basketball, taekwondo , chess , lawn tennis etc . The Sports teachers have meticulously planned the complete schedule for a period of one month . All the staff members lend a helping hand to ensure a smooth functioning of all the sports activities. The Science Exhibition, ‘Eternal Ganga’ dedicated to work of young scientists of classes I to VIII was held on 28th July, 2018. The theme of the exhibition was the source “Gangotri” and its journey to the Bay of Bengal,the exhibition concentrated on the areas on how water is used for various purposes such as Hydroelectric dams and irrigation etc. It also covered how the holy river is polluted and the various measures that is being taken by the current Government of India to control the pollution and save it. There were various live experiments such as water density test, generation of electricity through salt water etc. Parents were pleased to see the enthusiasm and confidence displayed by students in explaining their project. Their sense of pride was evident as all the projects were a result of conscious effort put in for days together in terms of research work, data collection, interviews, surveys and finalization of display boards. The Headmistress Ms. Nina Soni expressed her joy at the success of the Exhibition. The Principal Ms. Dipinder Kaur applauded the efforts put in by students under the able guidance of all science teachers who encouraged the students to exhibit scientific applications in their unique expression of evolved creativity. 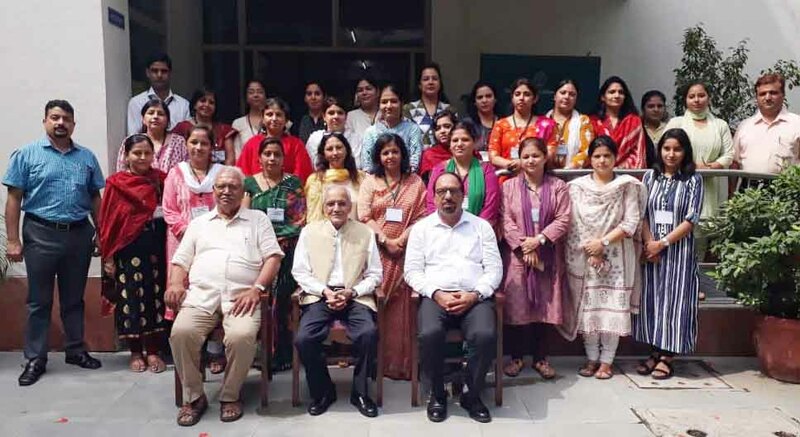 Delhi Public School Society-HRD Centre hosted a three-day training workshop for middle level teachers on ‘English Capacity Building’ from 16th July to 18th July, 2018 under the aegis of the Delhi Public School Society. As many as 40 teachers from different Delhi Public Schools participated in the workshop. The development of community, society, nation and universe is dependent on the educational system. The holistic development of children of any nation is in the hands of teachers. School education hasa symbiotic relationship with teacher education as teachers are the frontline providers of quality education. Sufficient supply of well qualified and well-trained teachers is the most important, if not the only, contributing factor of school effectiveness and quality of learning. With this paradigm shift from simplistic linear quantitative expansion to qualitative transformation in school education, the teacher education system in the country has increasingly emerged, during the last two decades or more, as an area of overriding concern. Quality is always demanded in the field of Teacher Education. Under the guidance of the Delhi Public School Society, Delhi Public School Society-HRD Centre has taken an initiative to play a role in capacity development of school teachers to provide quality education by organizing a three-day workshop to provide a common platform for school teachers to understand and share their experiences and deliberate upon the ideas related to the curriculum and its transaction to bring forth better professionals and effective teachers. The main objective of the proficiently planned workshop was capacity building of school teachers. The programme was coordinated by Ms. Sandhya Awasthi, Director, the Delhi Public School Society. She gave an overview of the programme before the workshop started. The workshop began with the first session by Ms. Renu Nair which focused on ‘Building Reading Skills’ among students. The second session was taken by Ms. Shalini Nair and Ms. Aslesha Thakur who explained the teachers about the strategies and techniques that can be used to enhance the ‘Listening Skills’ of students. The day ended with the last session by Ms. Swapna Soni who told the teachers about the ‘Principles of Imparting Speaking Skills in the Classroom’. The second day of the workshop started with a session by Dr. Manjima Chatterjee who informed the teachers about ‘Using Theatre in an English Classroom for Prose and Poetry Teaching’. The second session focused on ‘Building Mastery Over Writing Tasks’ which was taken by Ms. Gayatri Khanna. The third session was taken by Mr. Pronab Mukherjee who enlightened the teachers on how to ‘Develop Public Speaking Skills’ among the students. The third day of the workshop began with a session on ‘Innovation and Experiments in English Teaching’ by Dr. Kirti Kapur (N.C.E.R.T.). The last session of the workshop was taken by Dr. Pooja Singal telling the teachers about ‘Building Sound Reading Skills’ in students. The programme ended with the distribution of certificates among the teachers present there. All the speakers were happy to mention that this kind of programme will be beneficial for all the participants and they also expressed their gratitude to the Delhi Public School Society for giving them the opportunity to be a part of this workshop. The students of DPS Pataudi conducted a special assembly to welcome the new Principal to the school on 24th July 2018. They presented a motivating assembly on the topic ‘Mind Fullness’, the children reiterated that being mindful would make them aware of their surroundings and help them to be responsible individuals. The assembly also included the news headlines, shlokas, G.K. questions and role play. 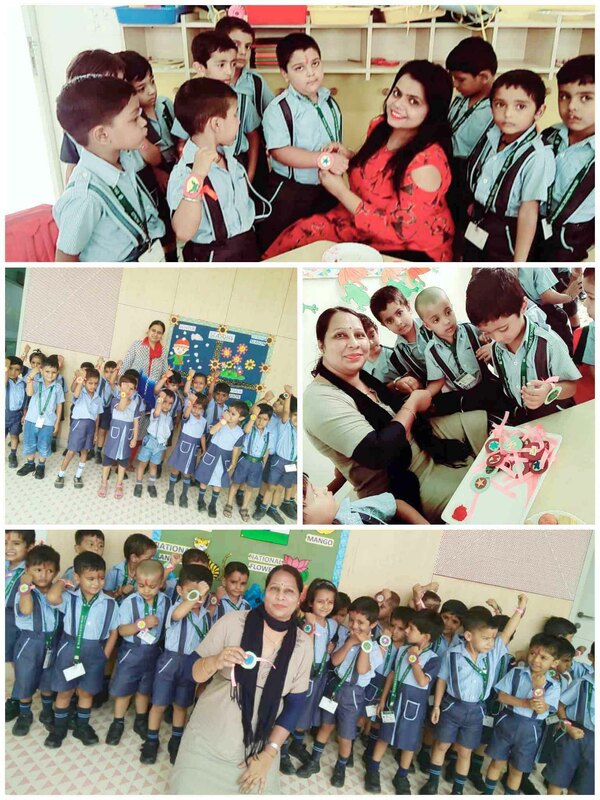 The Principal, Ms. Dipinder Kaur thanked the children for the heart warming assembly and said that she was very happy and excited coming to this school and was looking forward to fruitful interactions with all the children. Every child in DPS Pataudi is encouraged to dream big. Club activities add spice and colour to the daily curriculum where children explore their hidden talents on their own and teachers work as facilitators. Our little angels are always provided with a stimulating environment where they engage, explore, inquire and infer on their own. Here the young minds can be seen involved in various activities. Learning by doing helps them to become a confident learner. The Orientation Programme held between 7th April 2018 till 13th April 2018 was specifically designed to provide helpful information about school guidelines and objectives, curricular and co-curricular activities through the year. 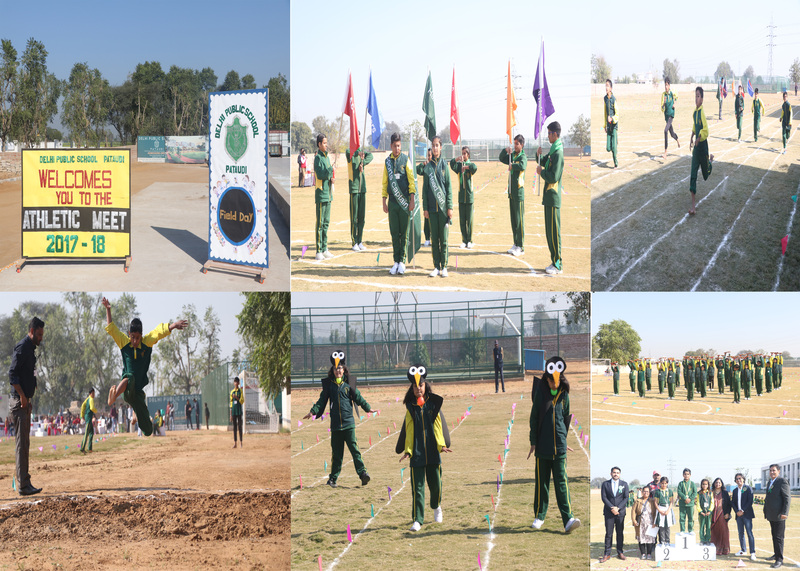 We proudly celebrated our First Sports Day with zestful children, cheering parents and esteemed members of our Management. Workshop for Students: Being Environment wise with "I Am Gurugram"